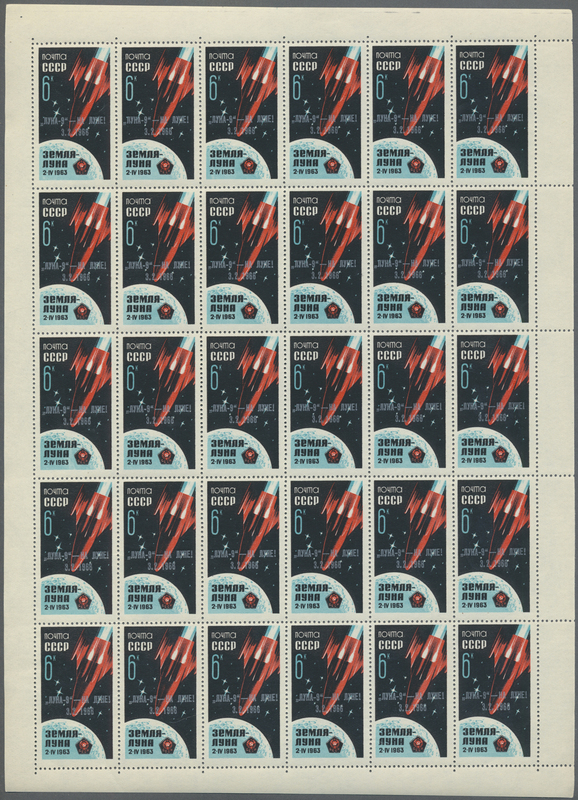 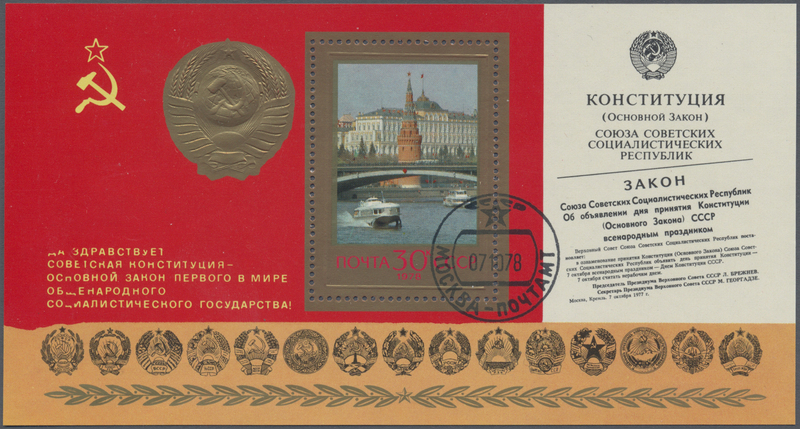 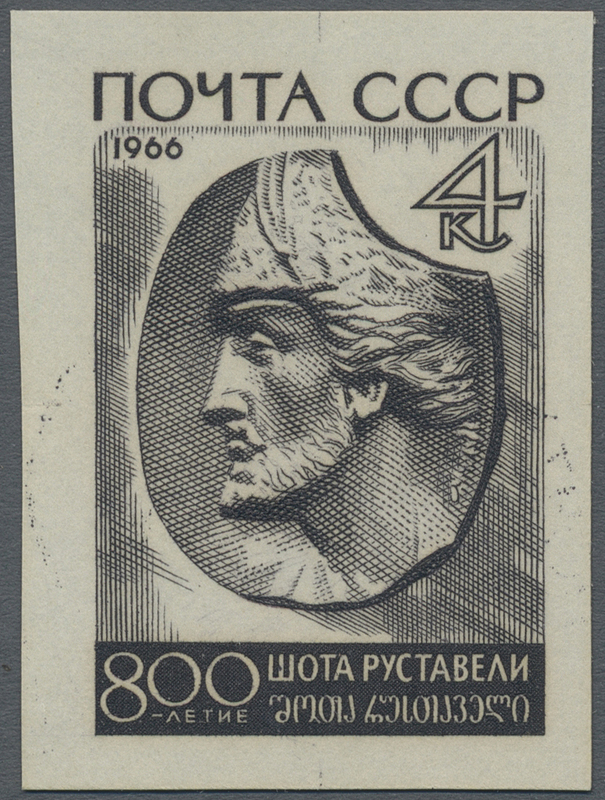 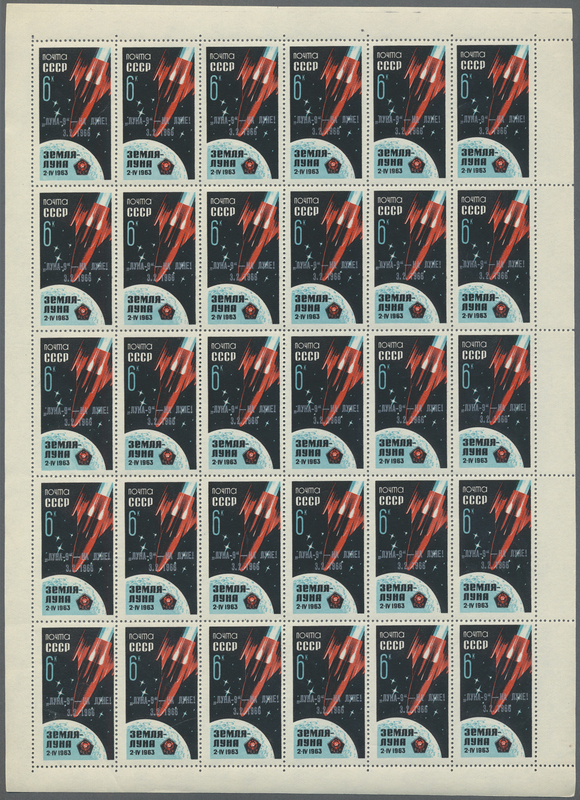 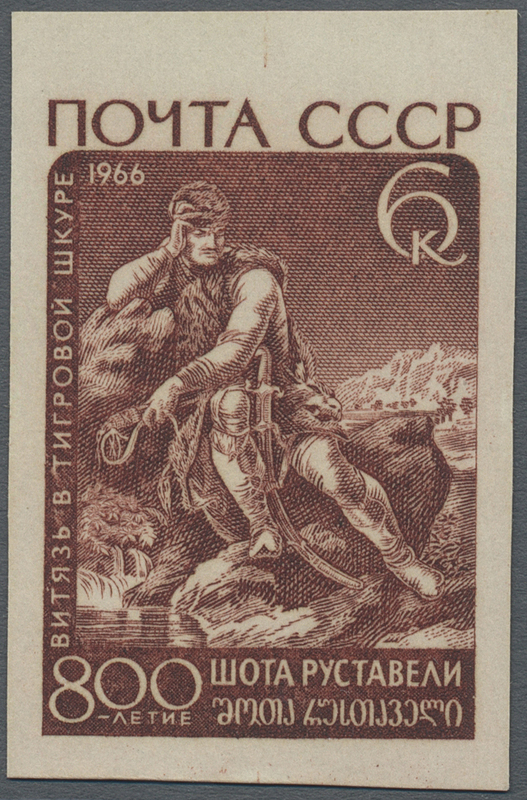 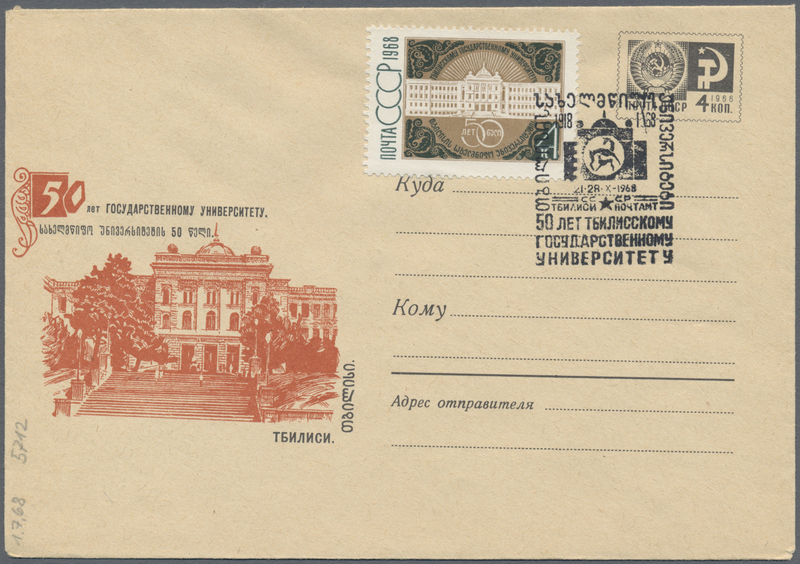 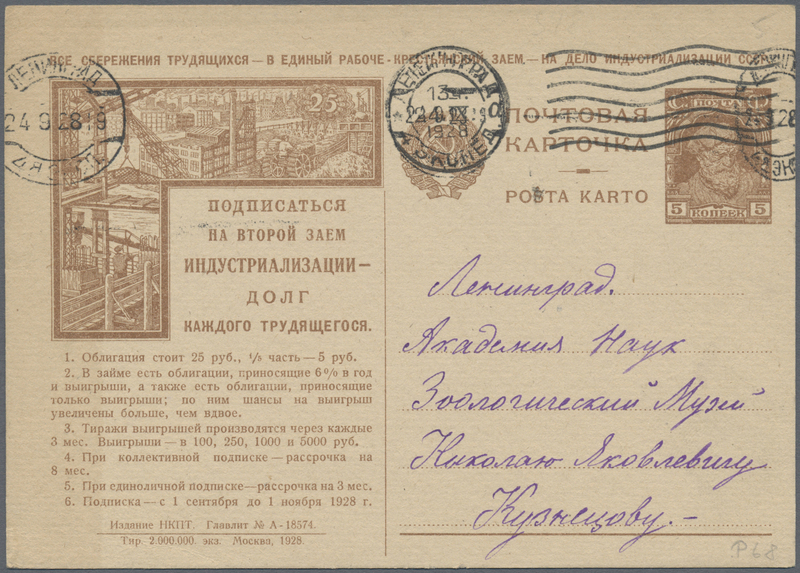 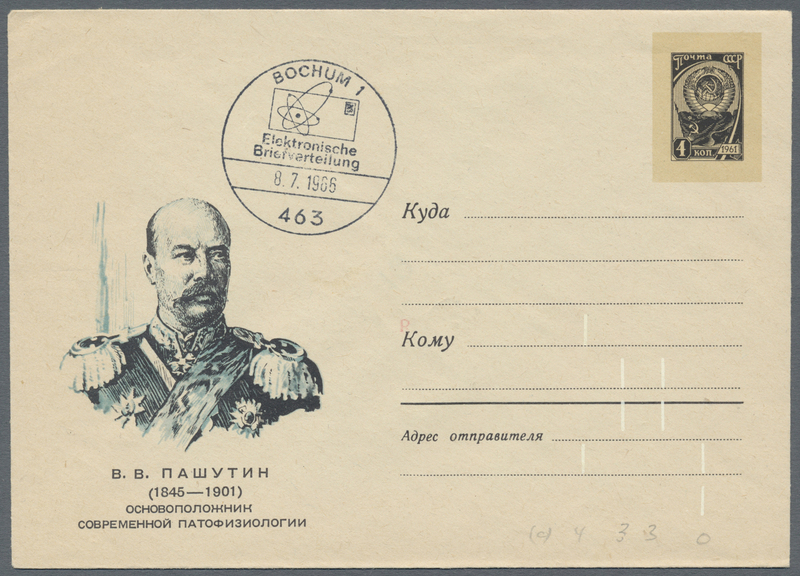 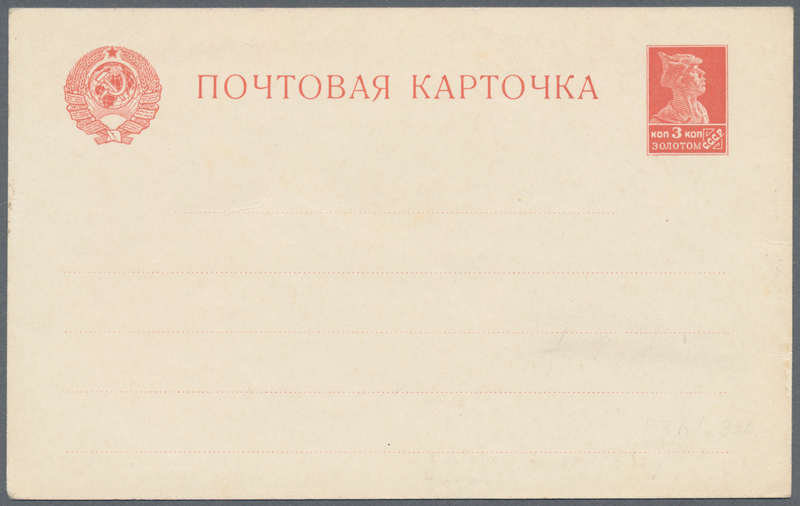 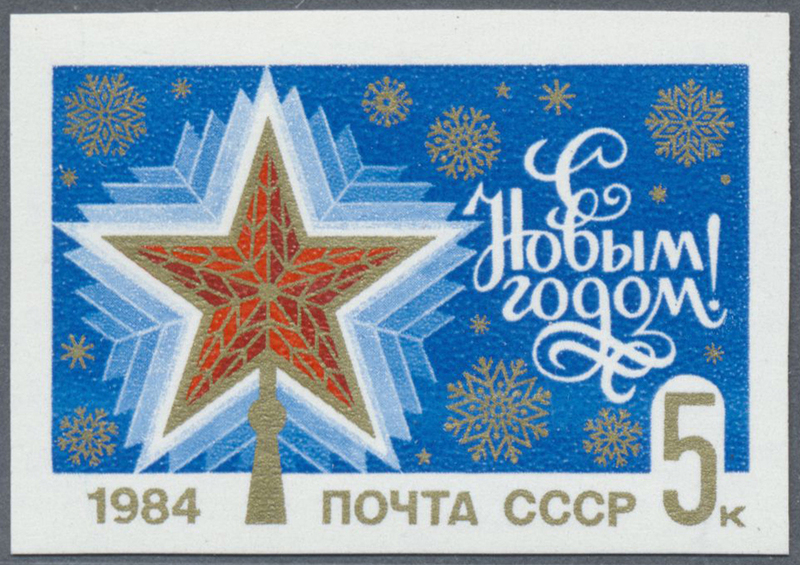 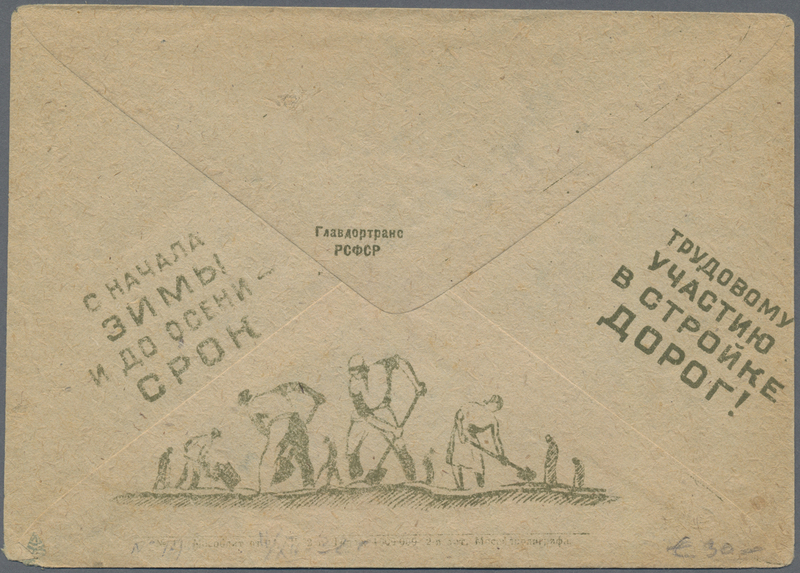 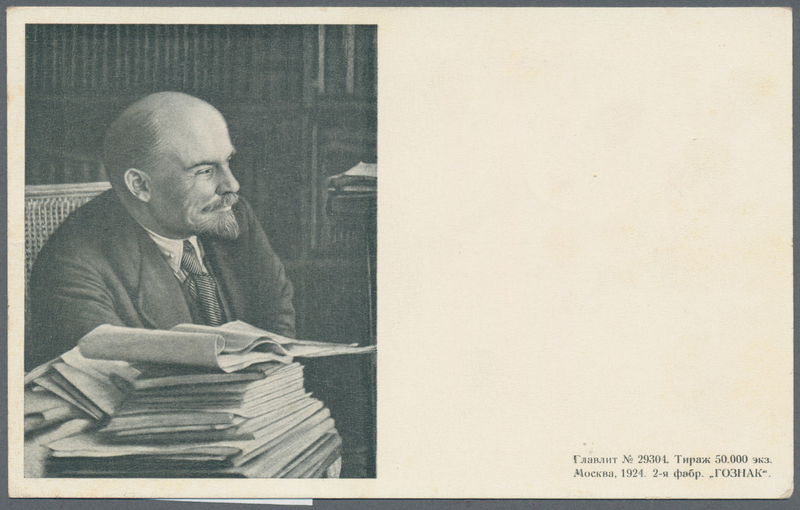 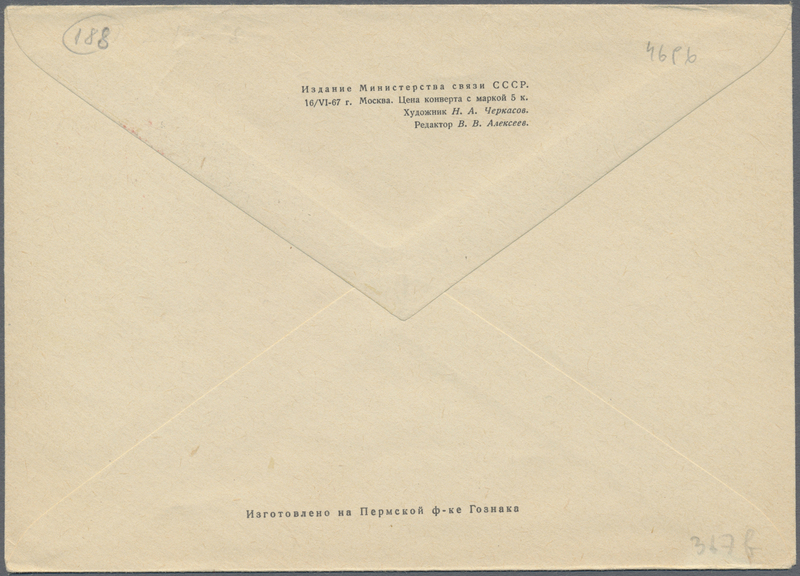 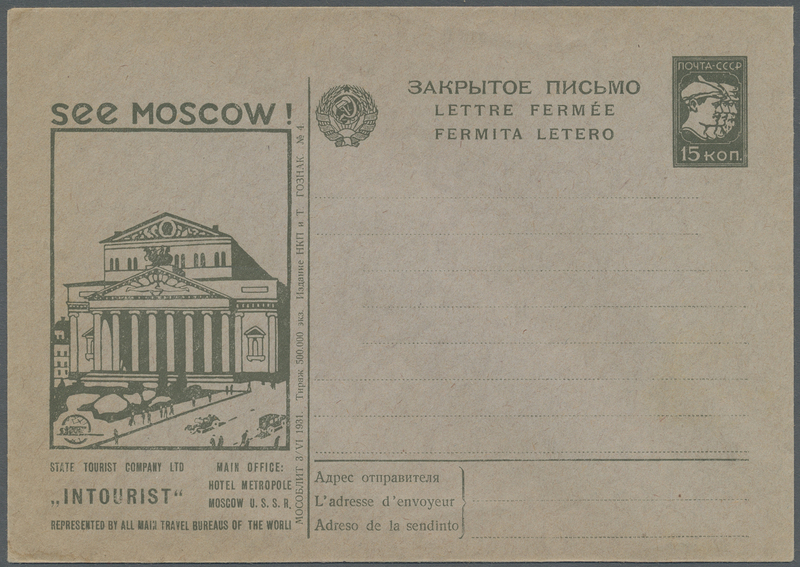 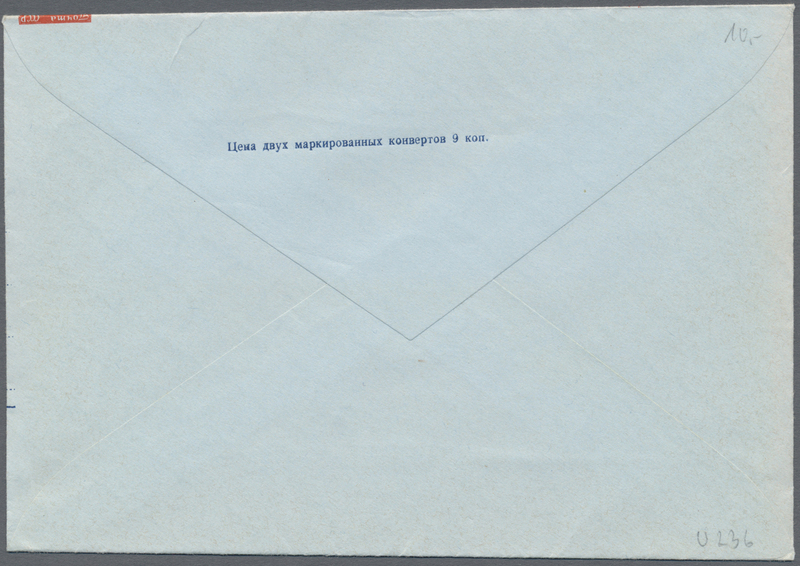 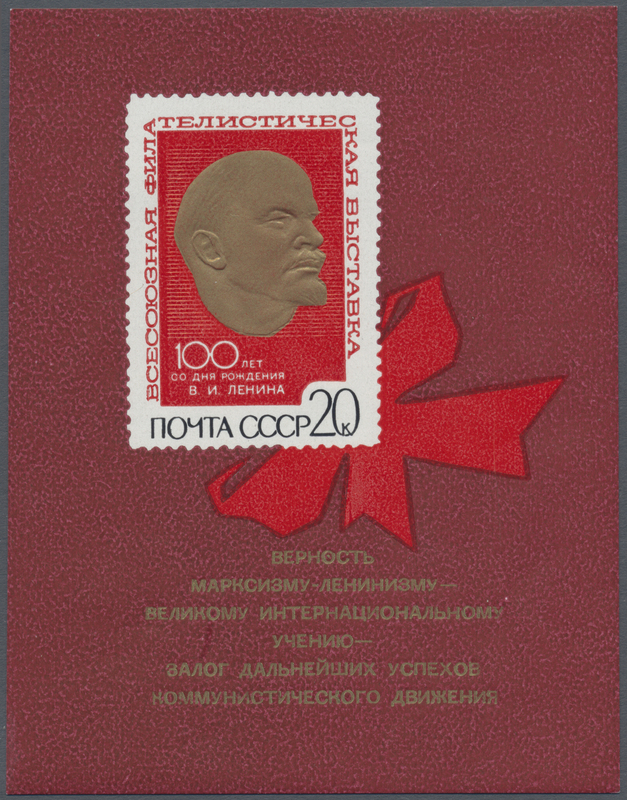 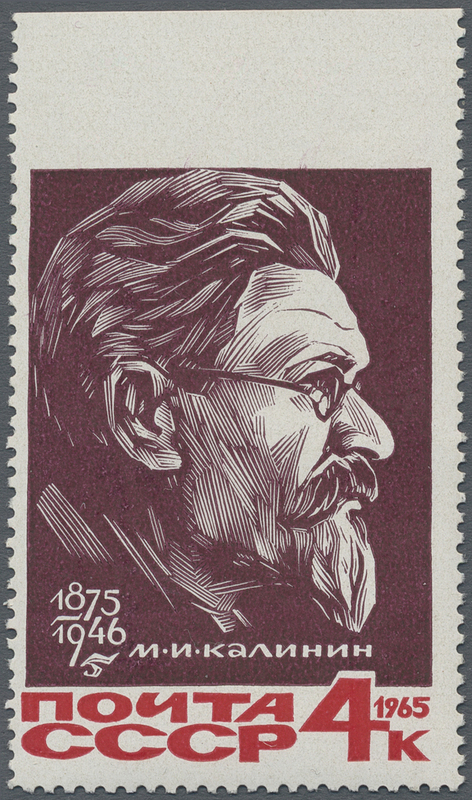 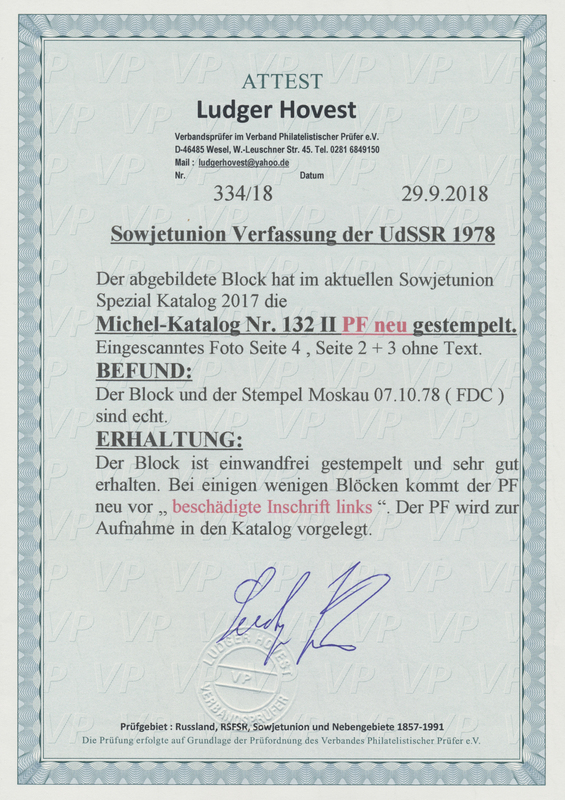 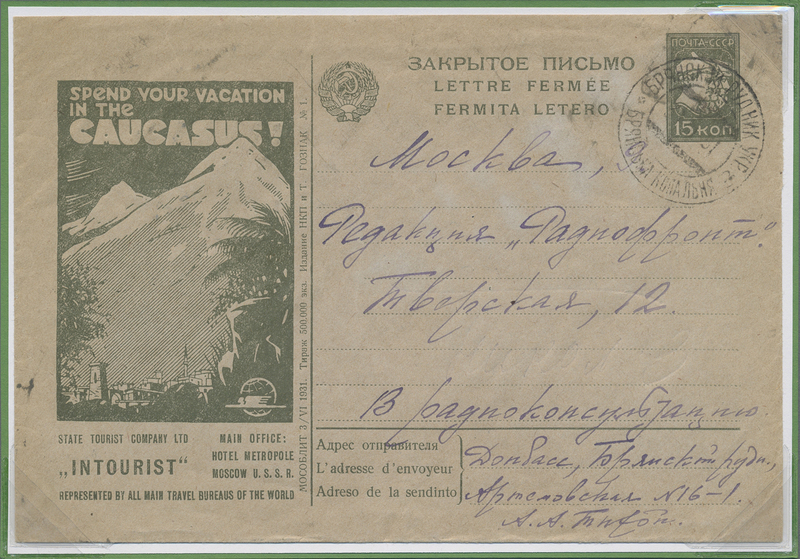 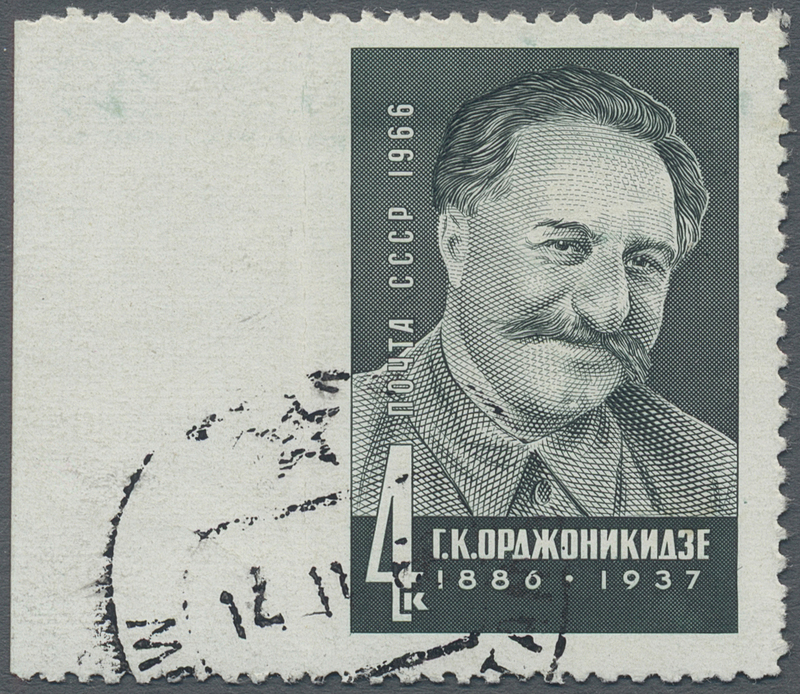 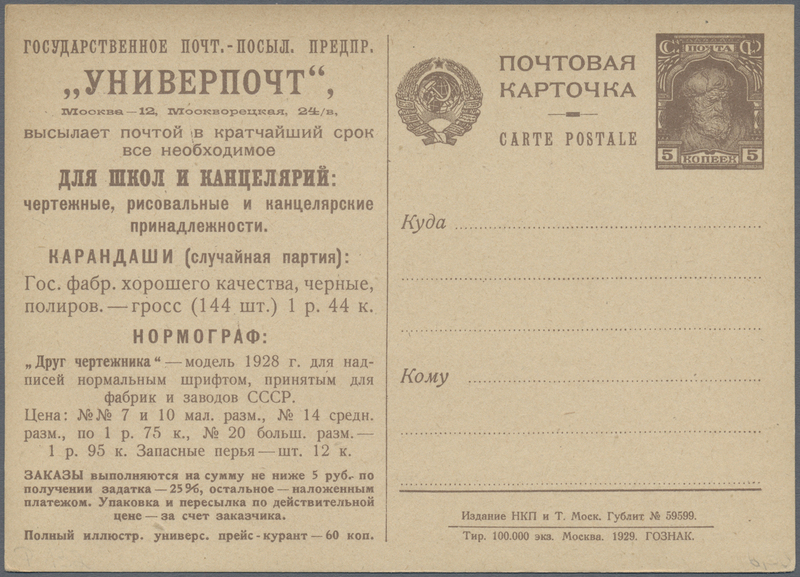 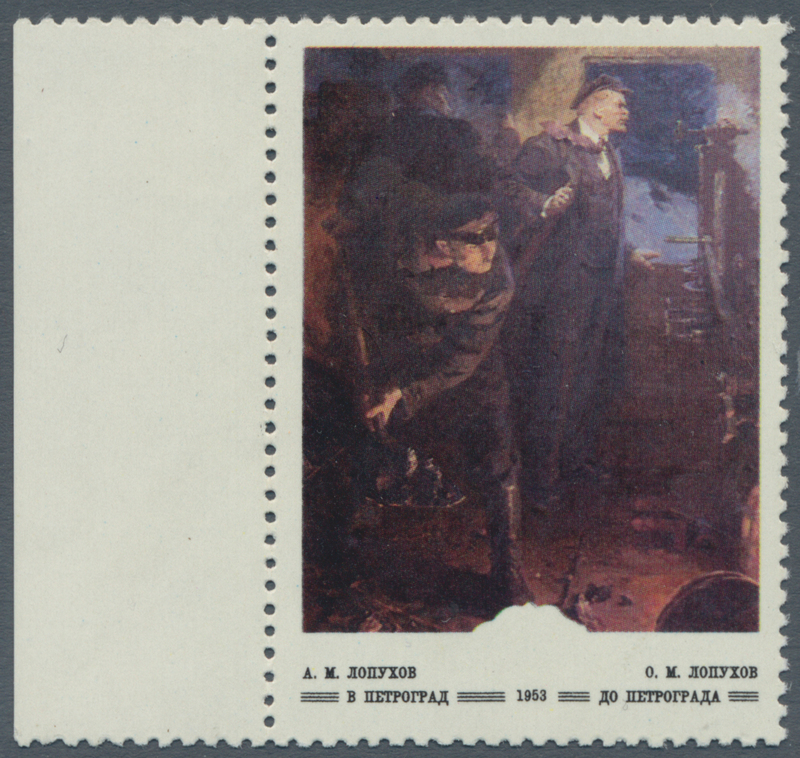 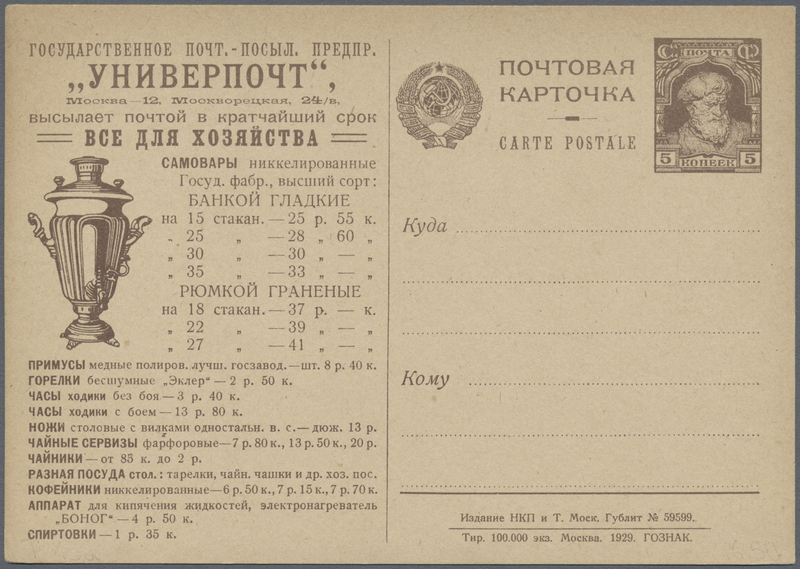 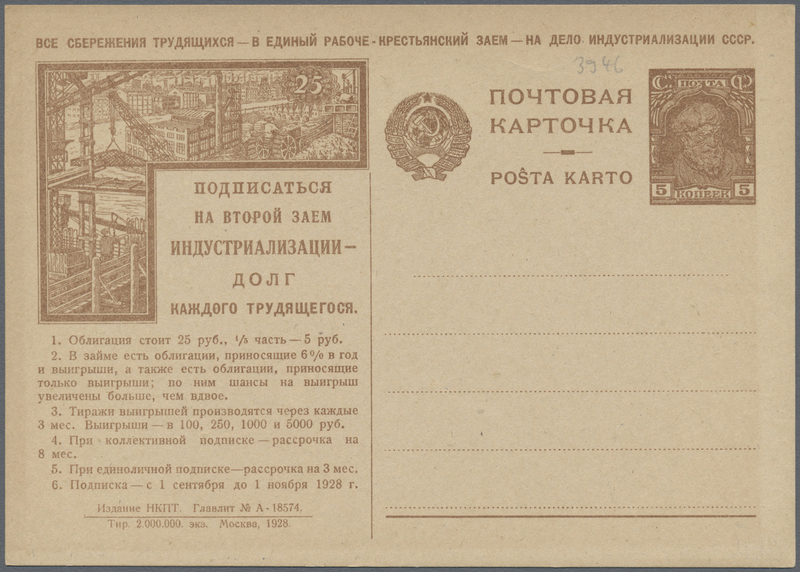 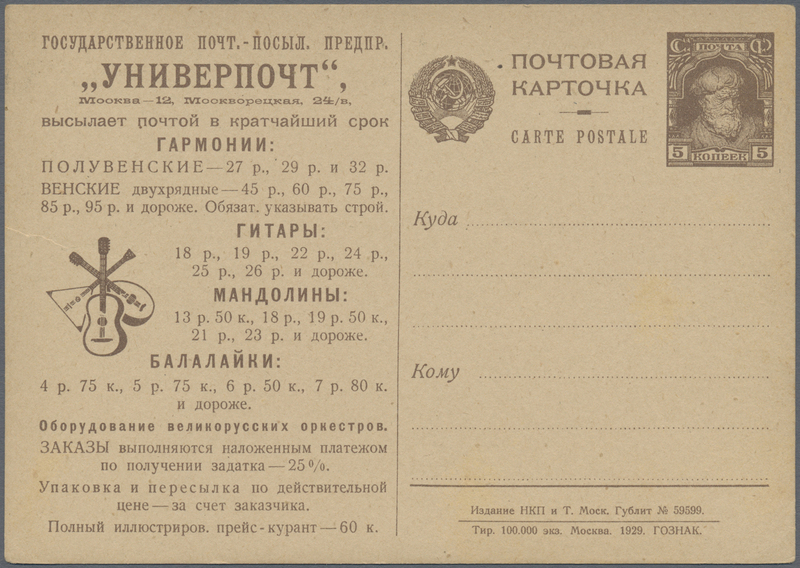 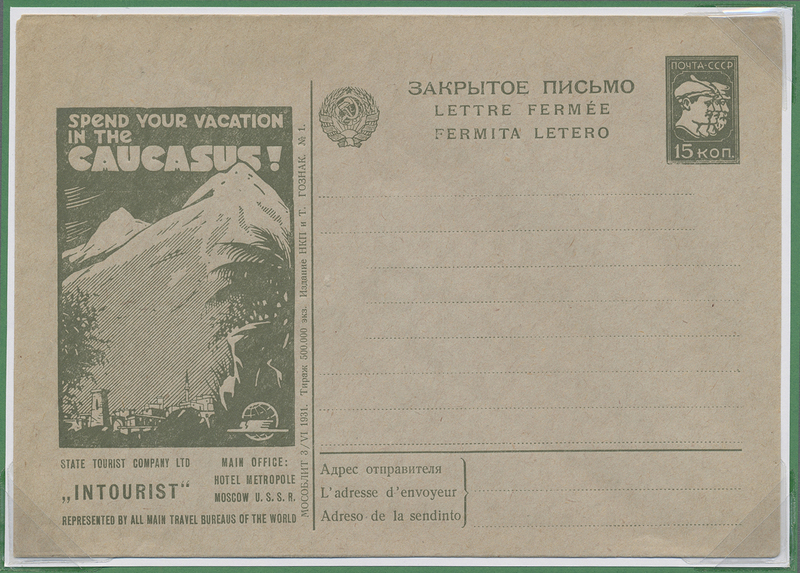 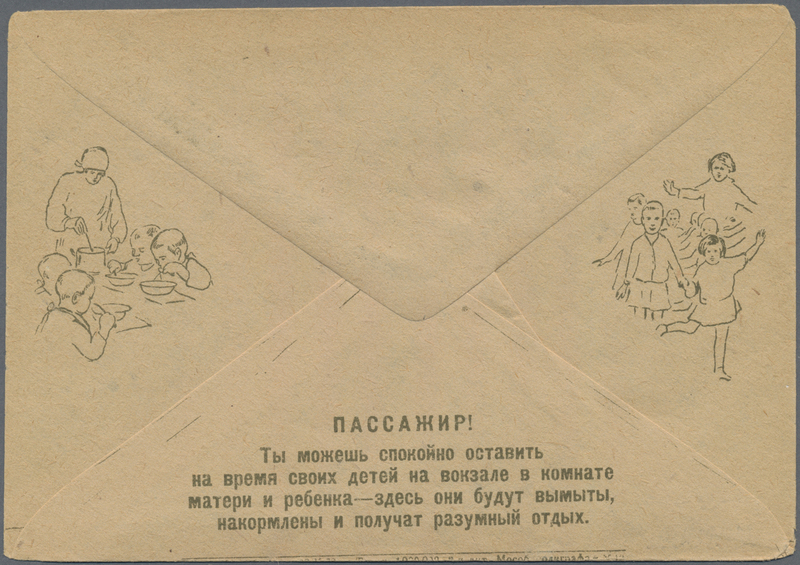 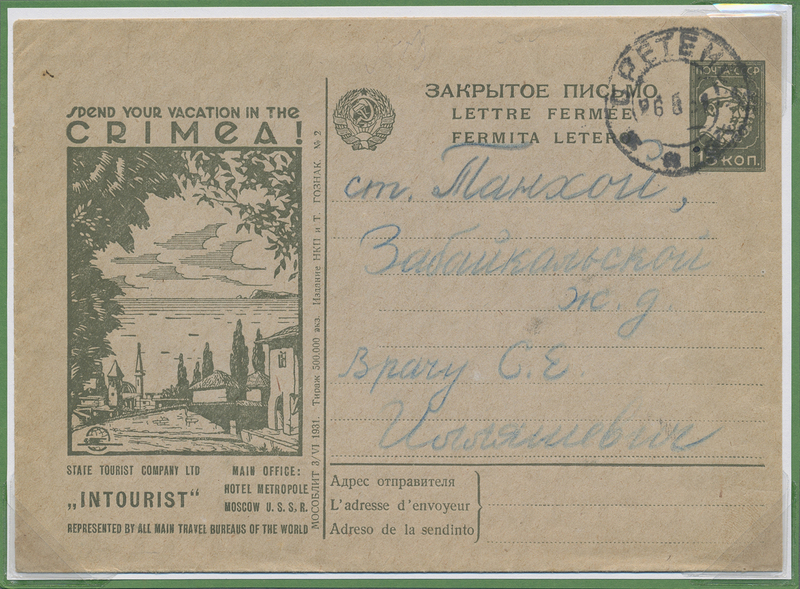 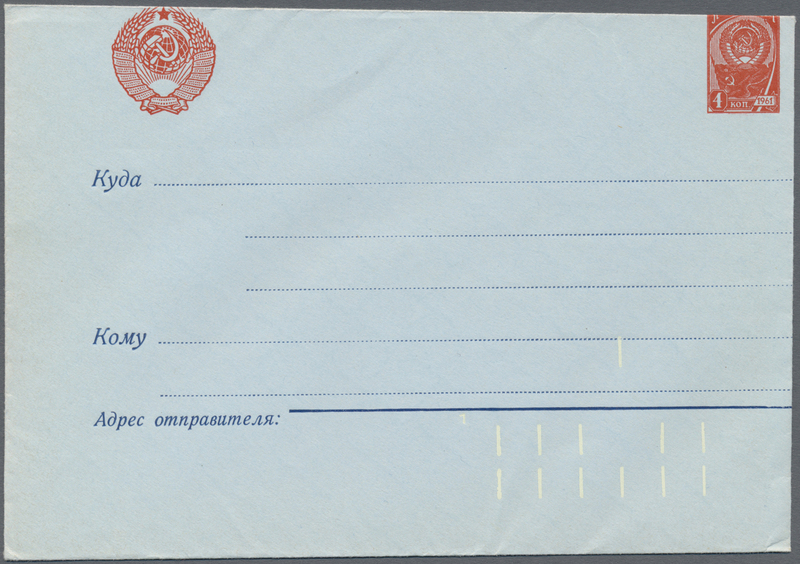 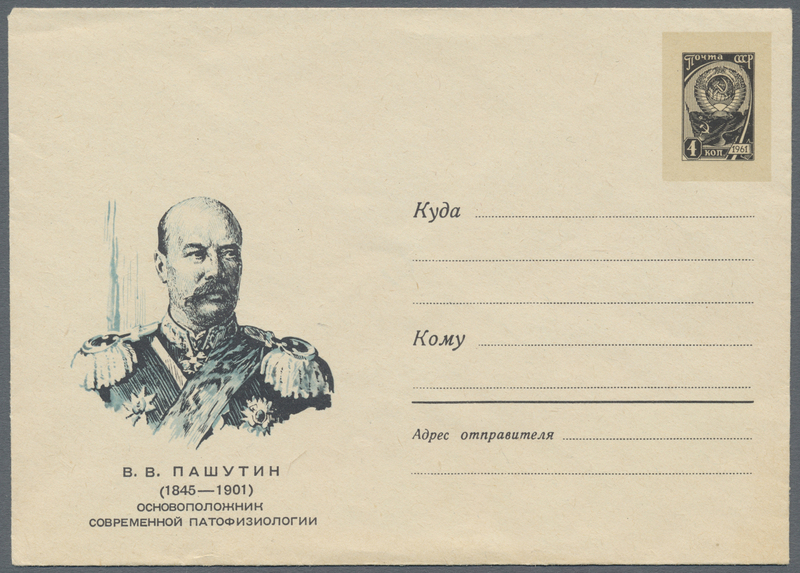 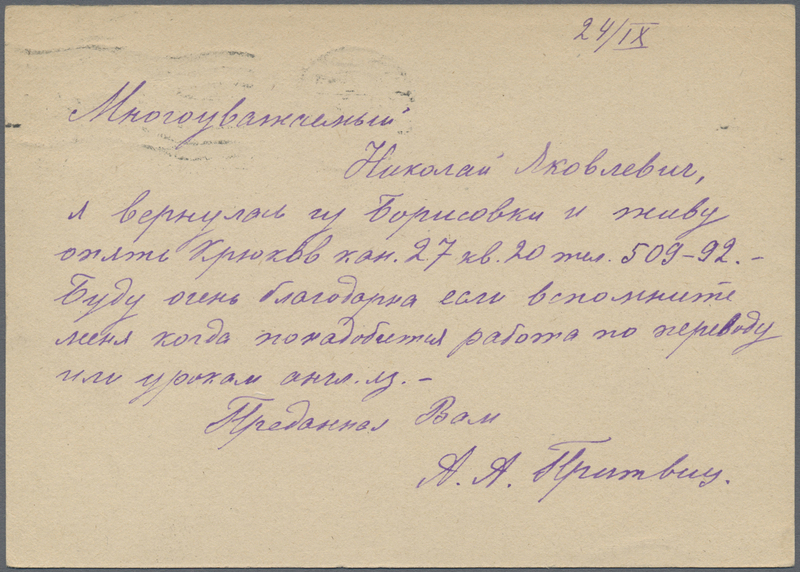 20531 postfrisch (never hinged) ** 3133 Uo 1965, 90th birthday of Mikhail Kalinin from sheet upper margin, above imperforated, left imperforated, mint. 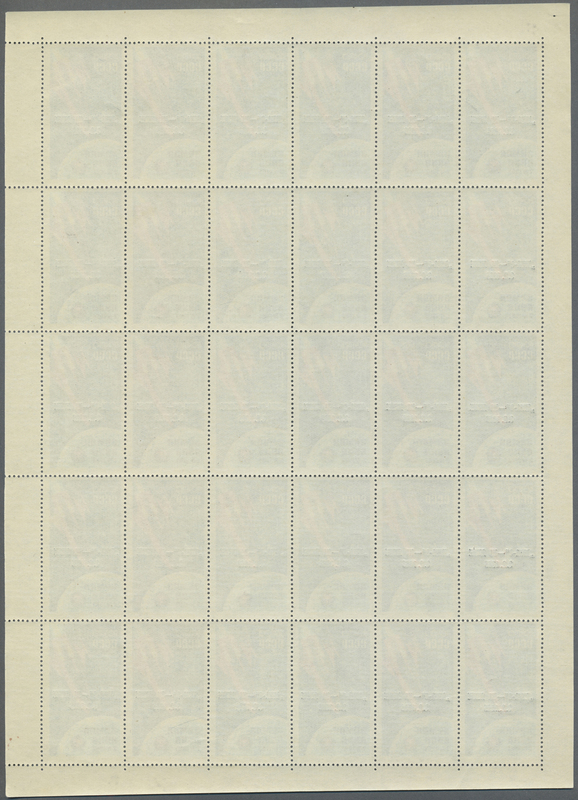 20532 ungebraucht ohne Gummi (unused without gum) (*) 3143 Proof 1965, 6 kop. 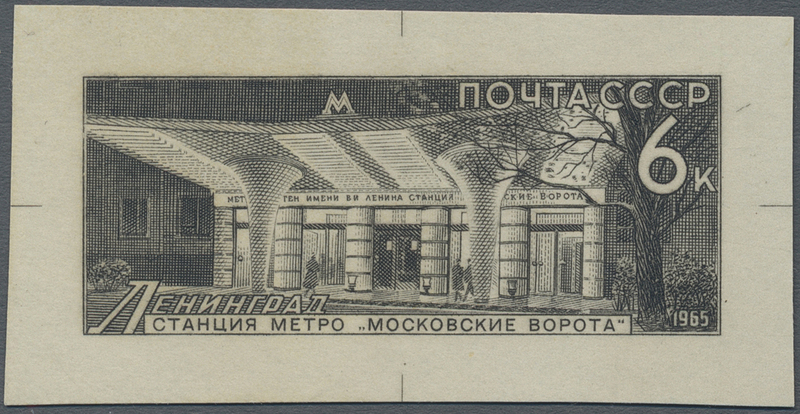 Metro station "Moscow Gate", imperf. 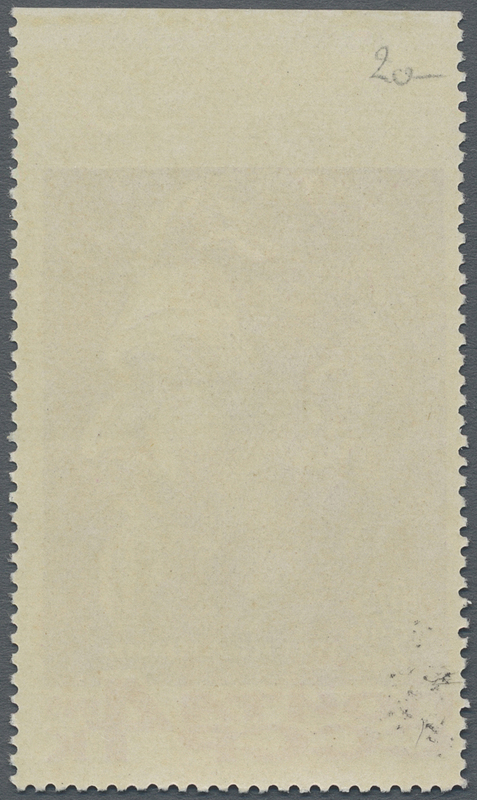 proof in black on ungummed paper, issued design. 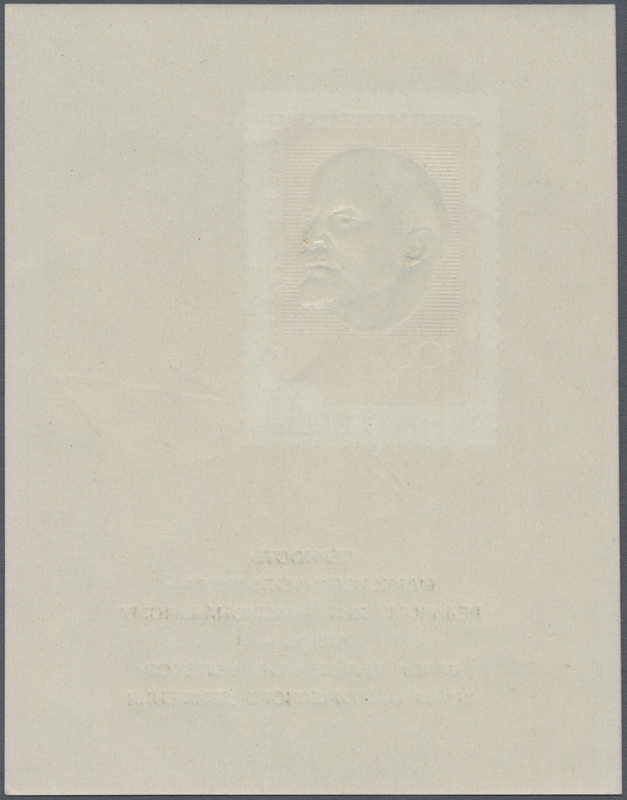 20533 postfrisch (never hinged) ** 3180 Bg 1966, 6 K. Weiche Landung von Luna 9 auf dem Mond mit silbernem Aufdruck, 2 komplette Bögen mit den verschiedenen Aufdrucktypen. 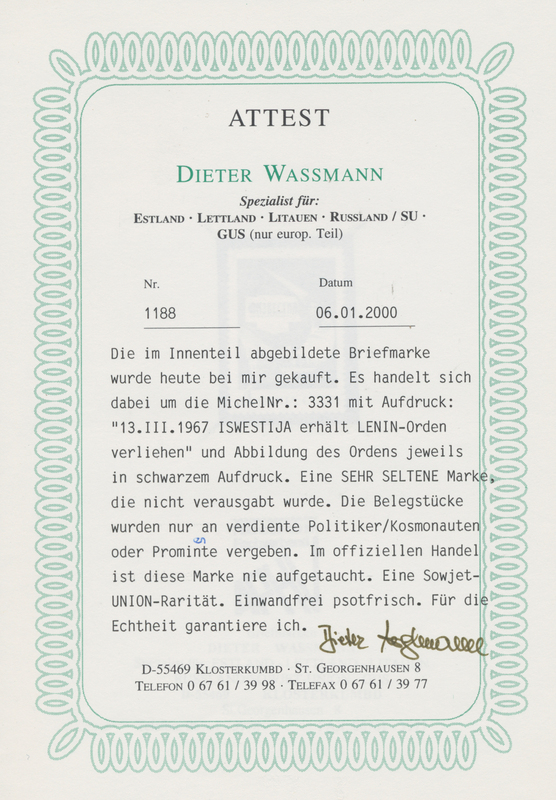 Selten! 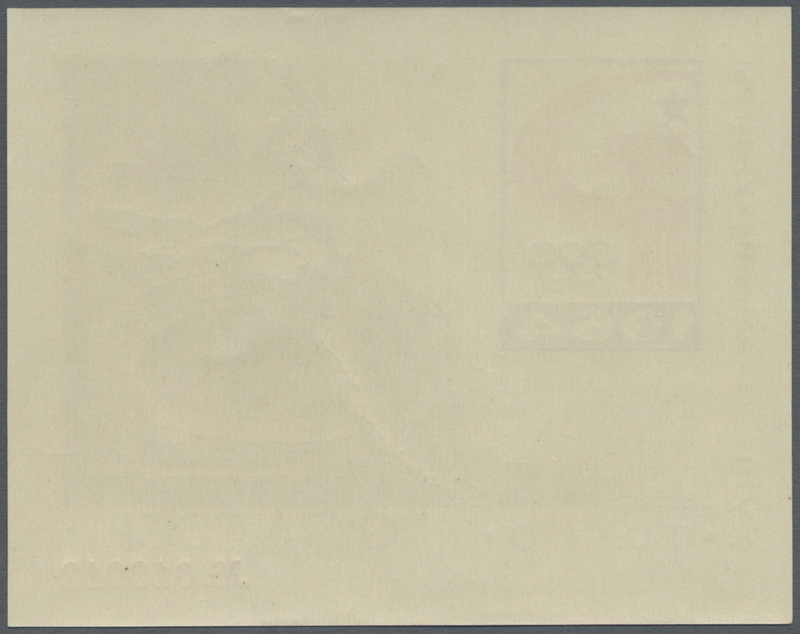 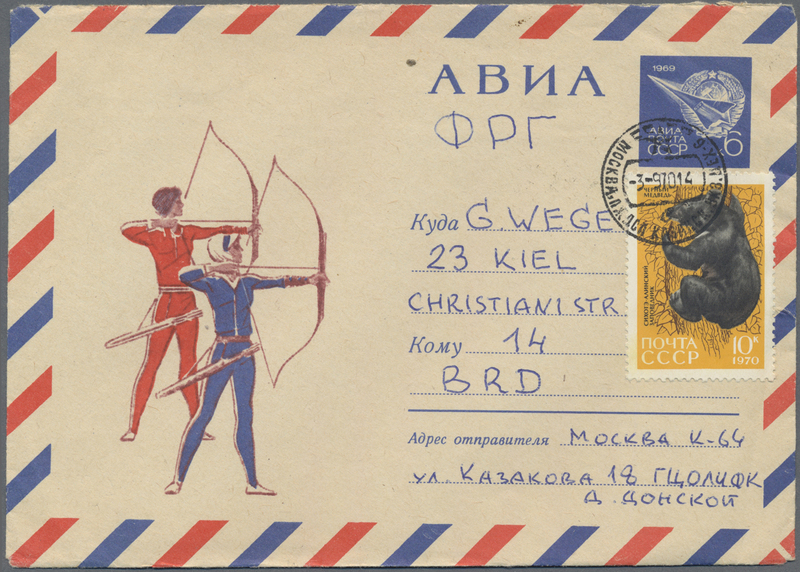 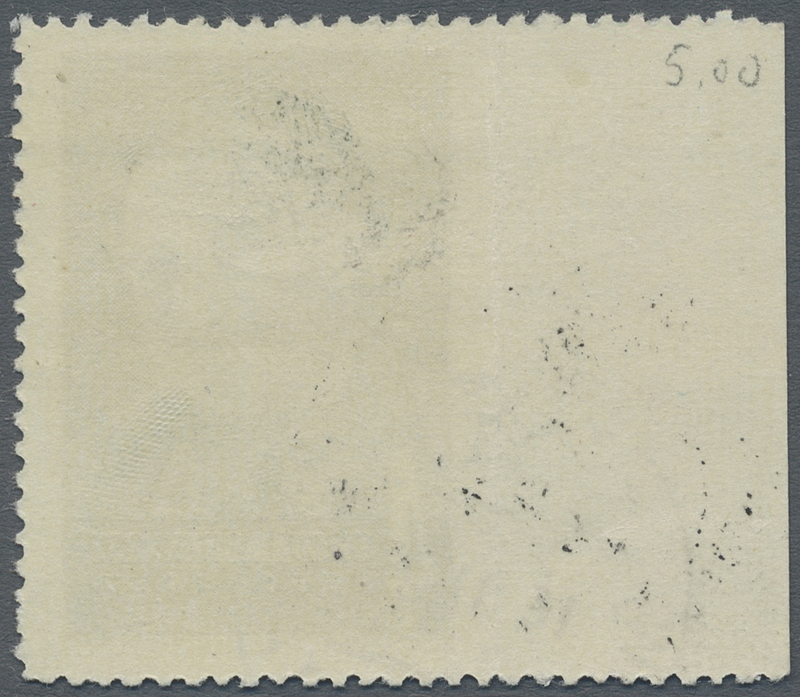 20534 gestempelt (marked) 3230 Ul 1966, 80. birthday of G. Ordschonikidze 4 k from left margin, left imperforated, used. 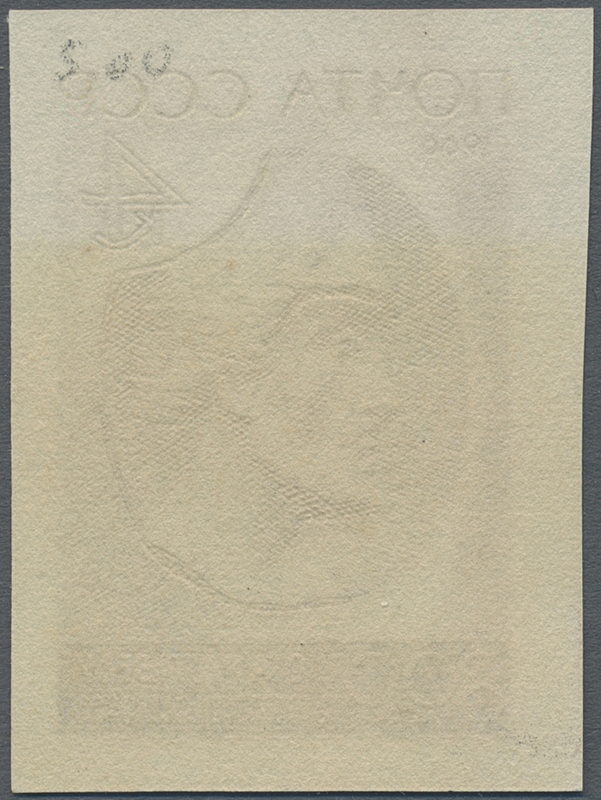 20535 ungebraucht ohne Gummi (unused without gum) (*) 3259 Proof 1966, 4 kop. 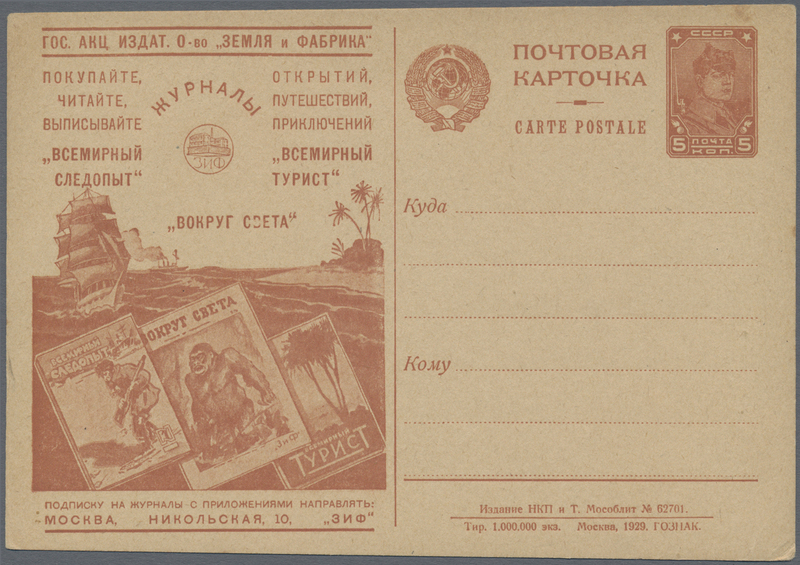 Schota Rustaweli, imperf. 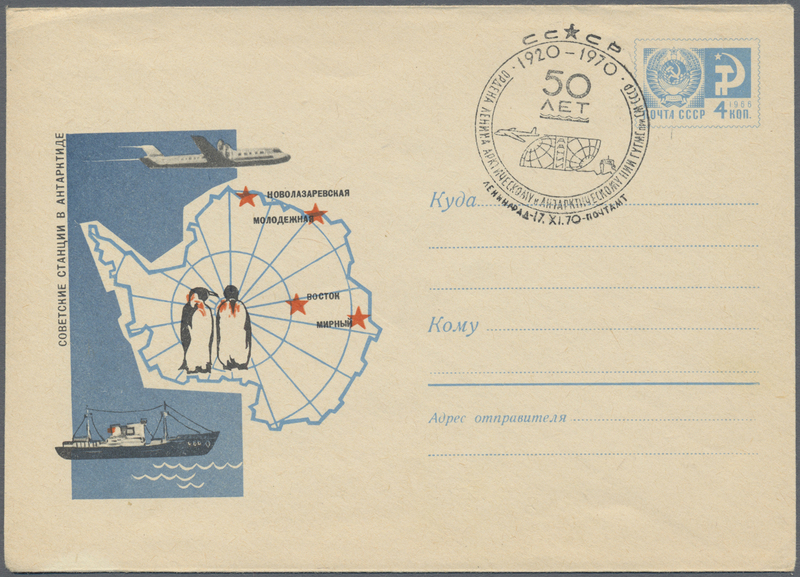 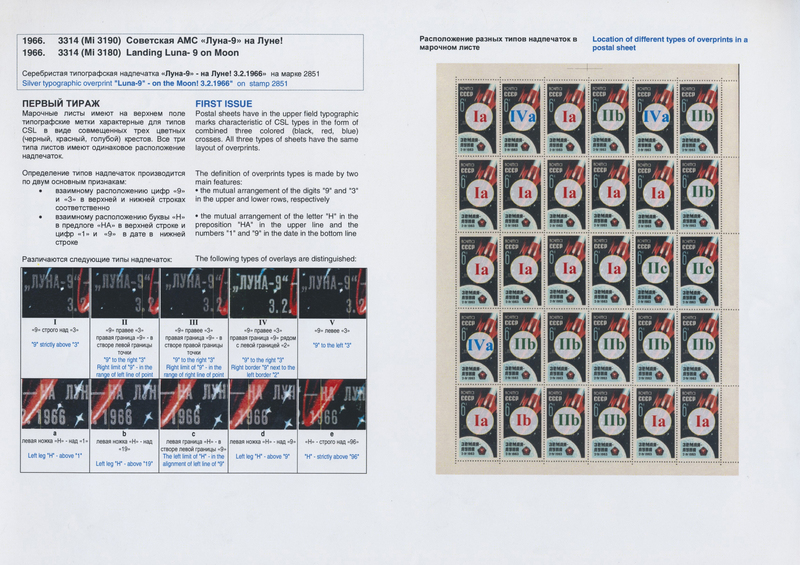 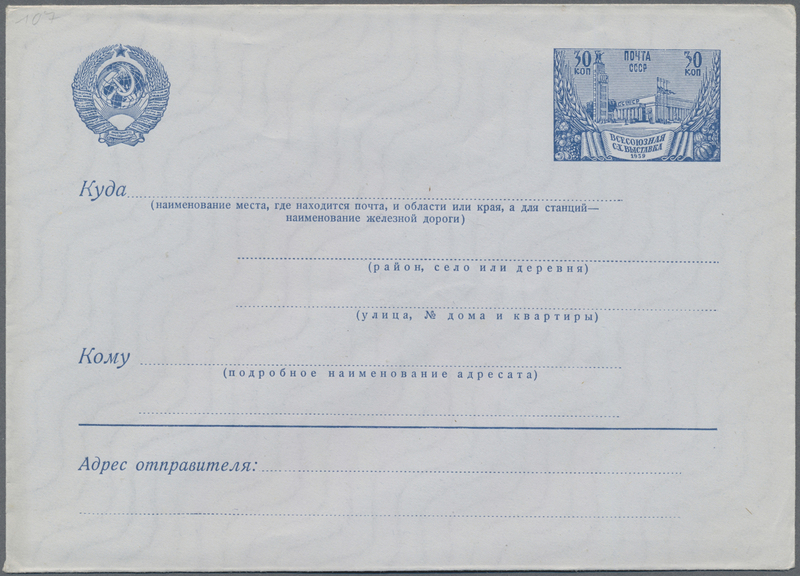 proof in bluish-black on ungummed paper, issued design. 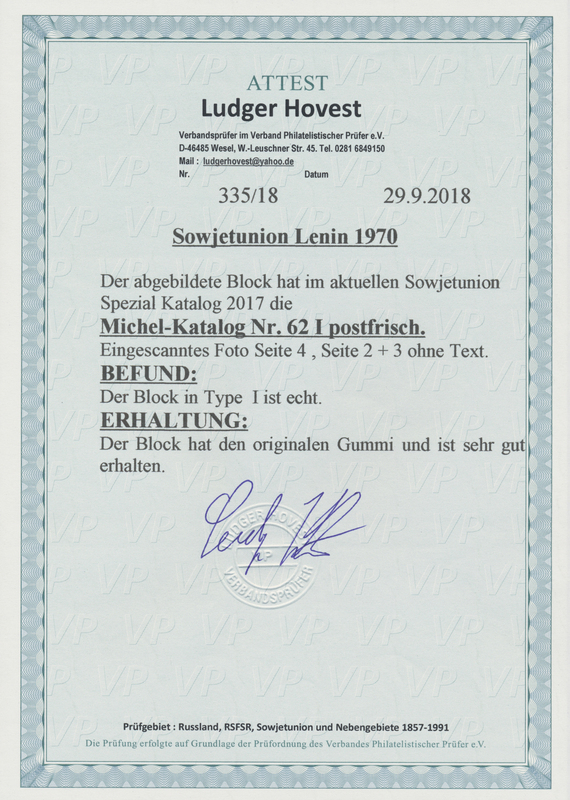 20536 ungebraucht ohne Gummi (unused without gum) (*) 3260 Proof 1966, 6 kop. 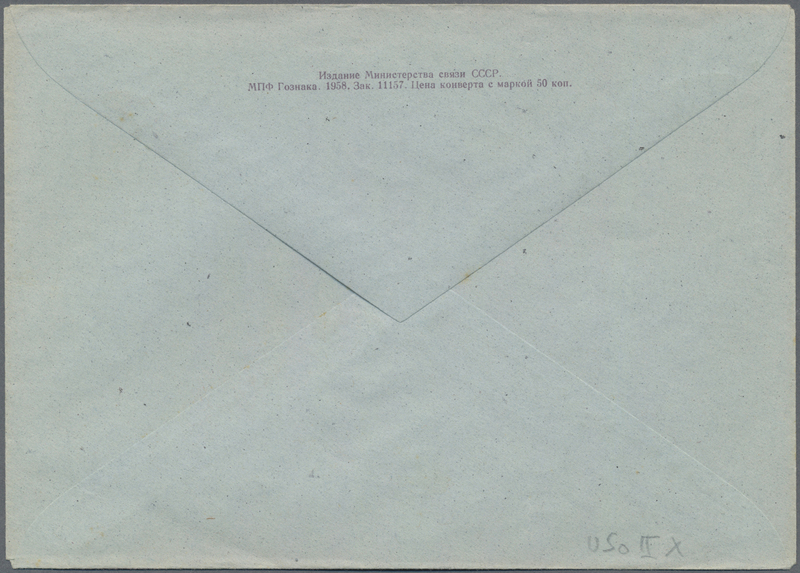 Schota Rustaweli, imperf. 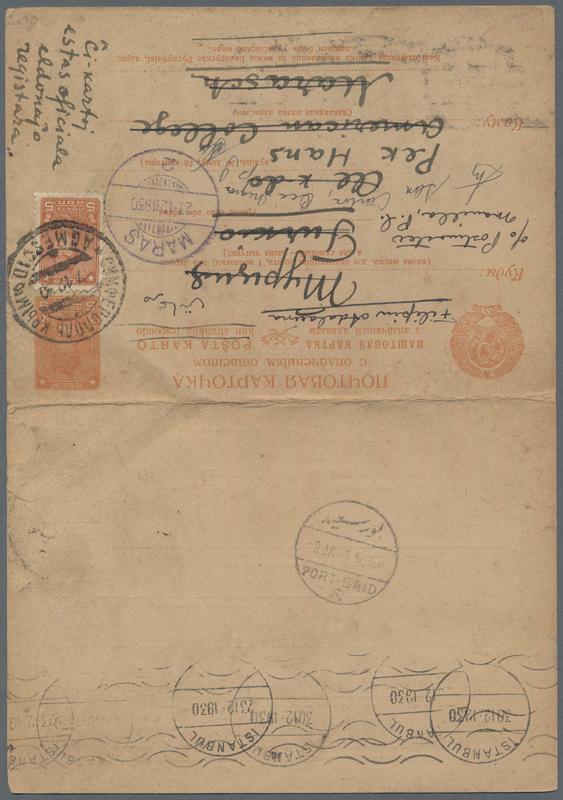 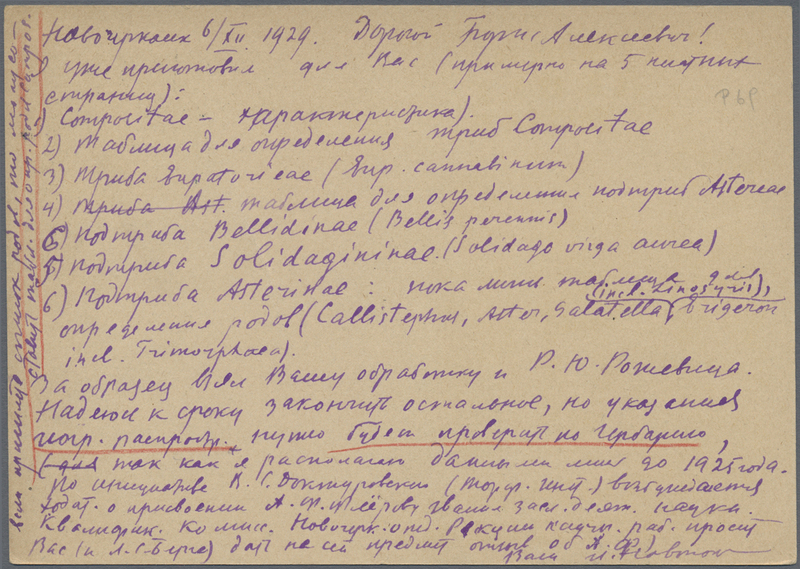 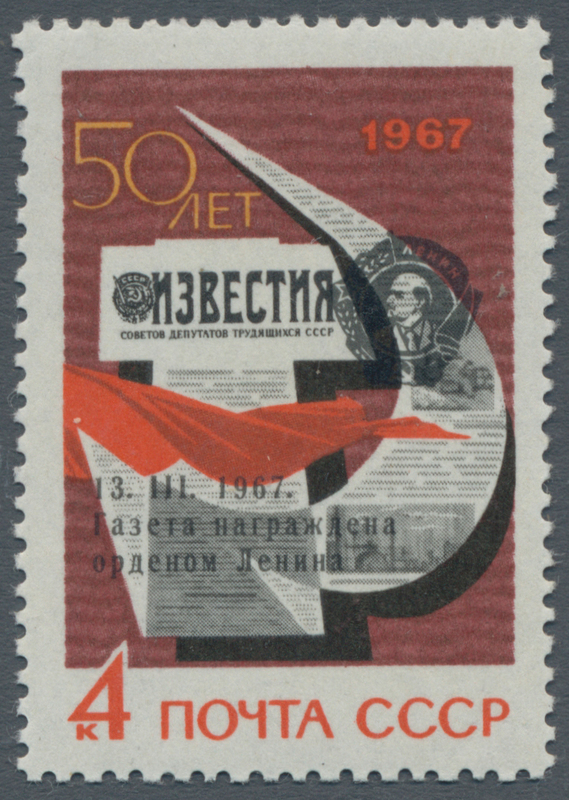 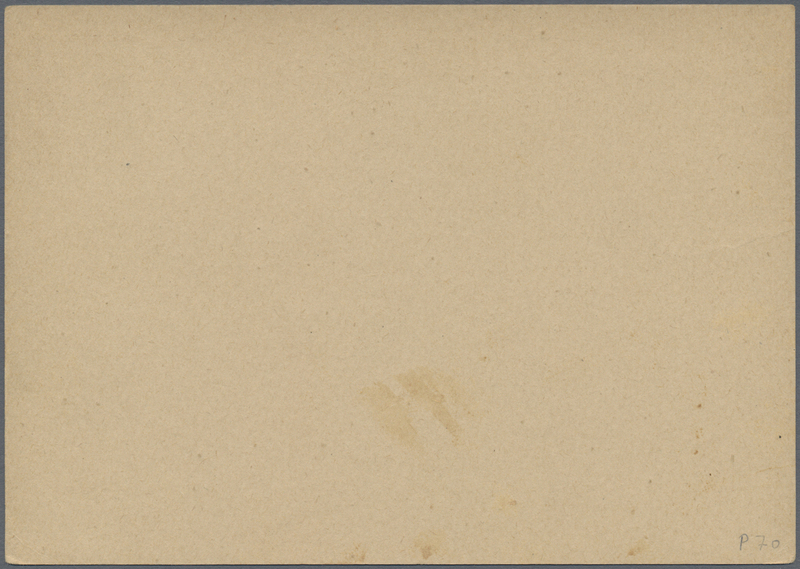 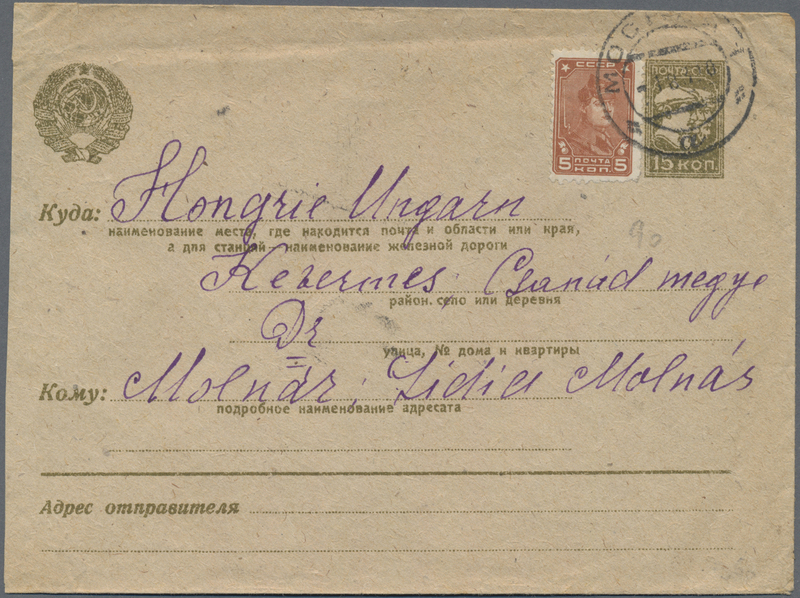 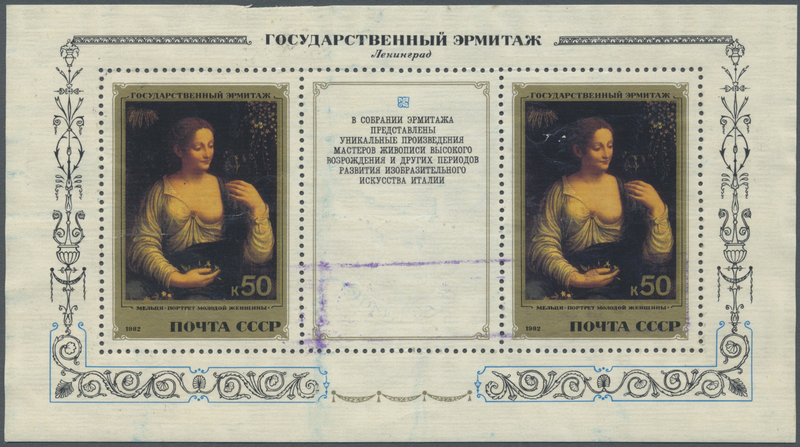 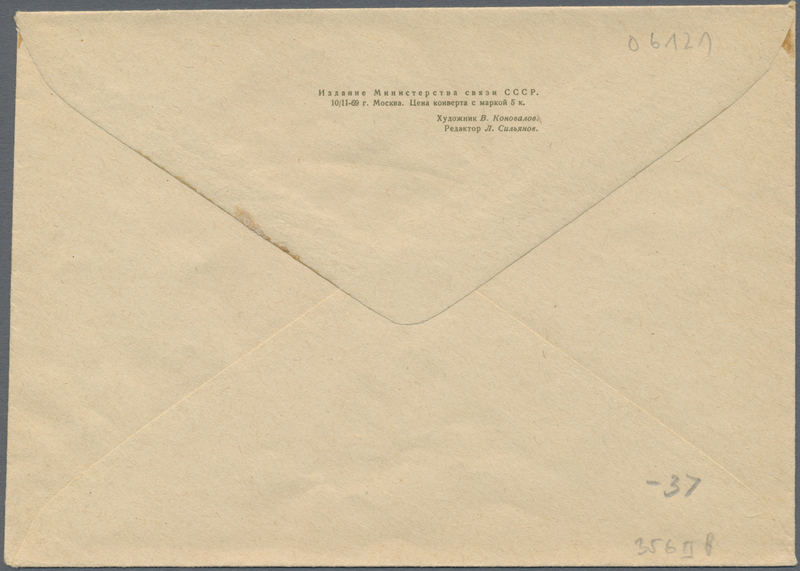 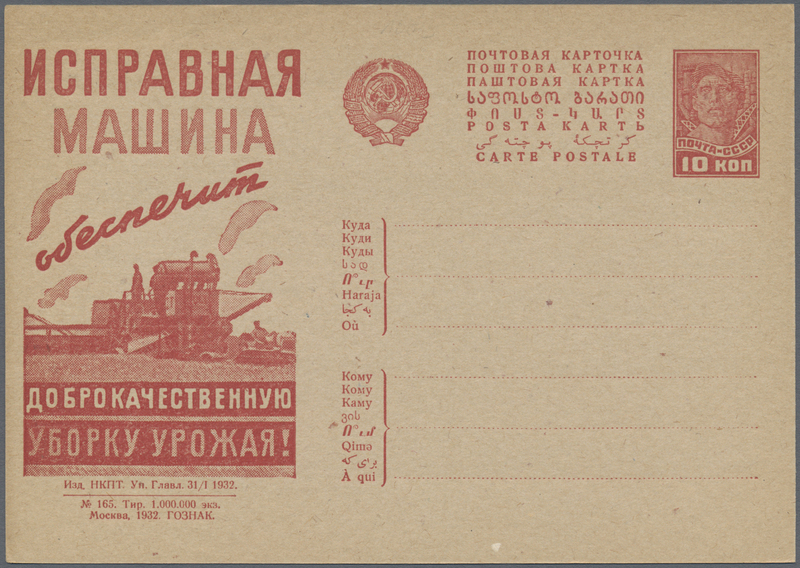 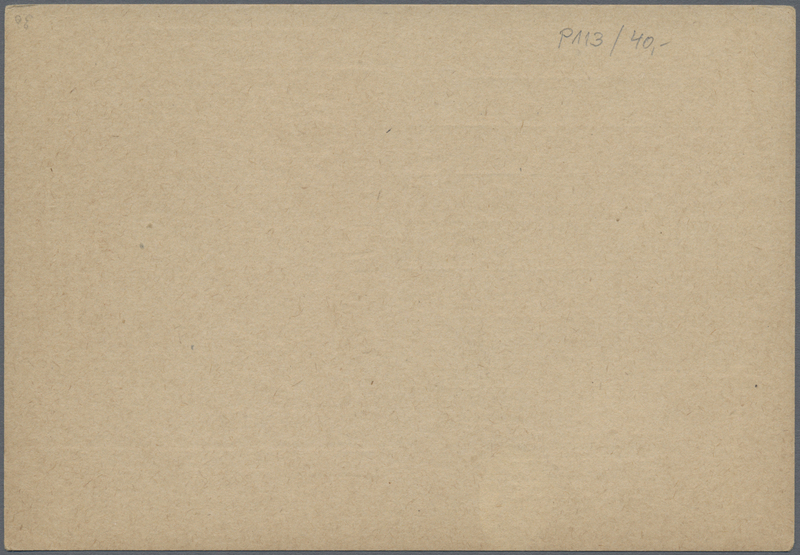 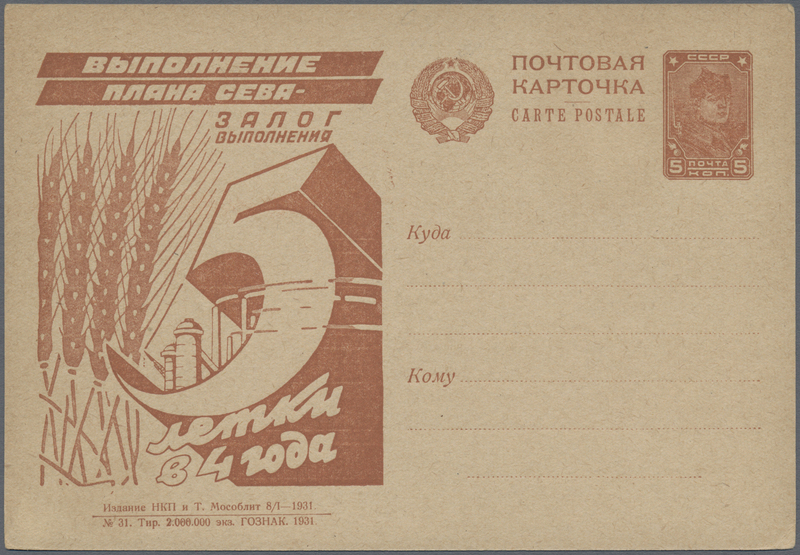 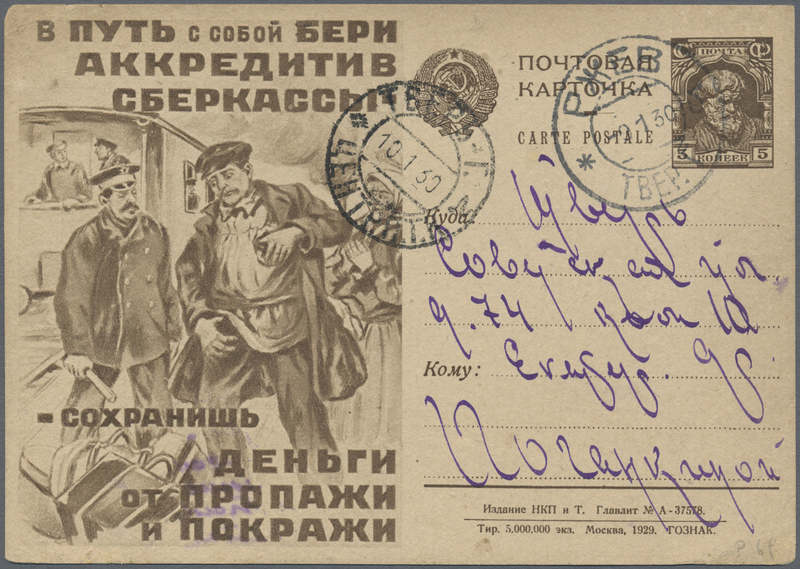 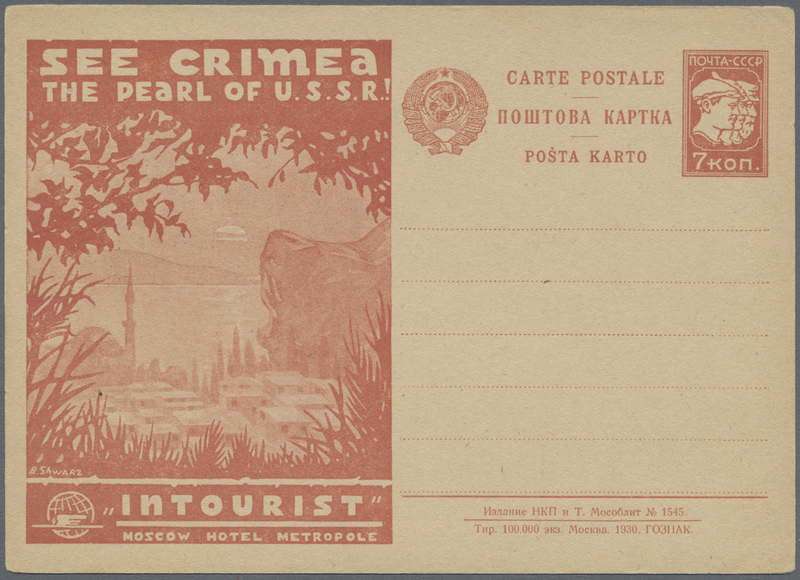 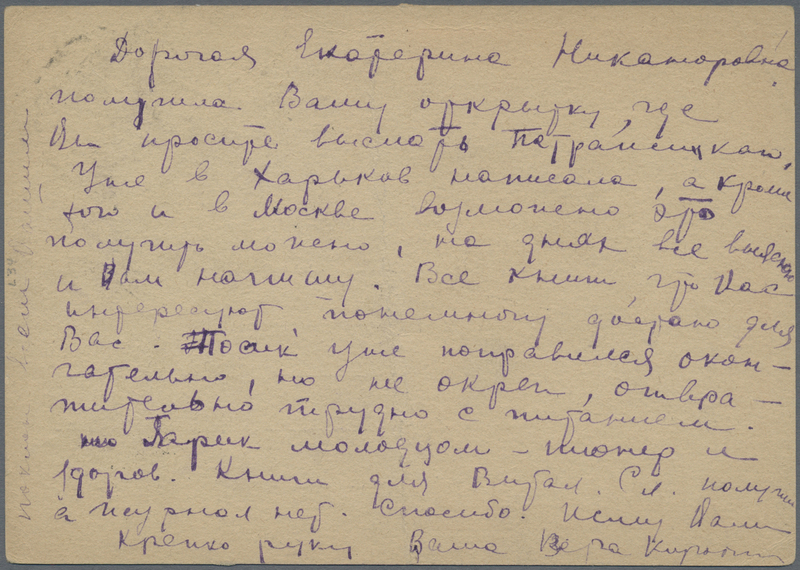 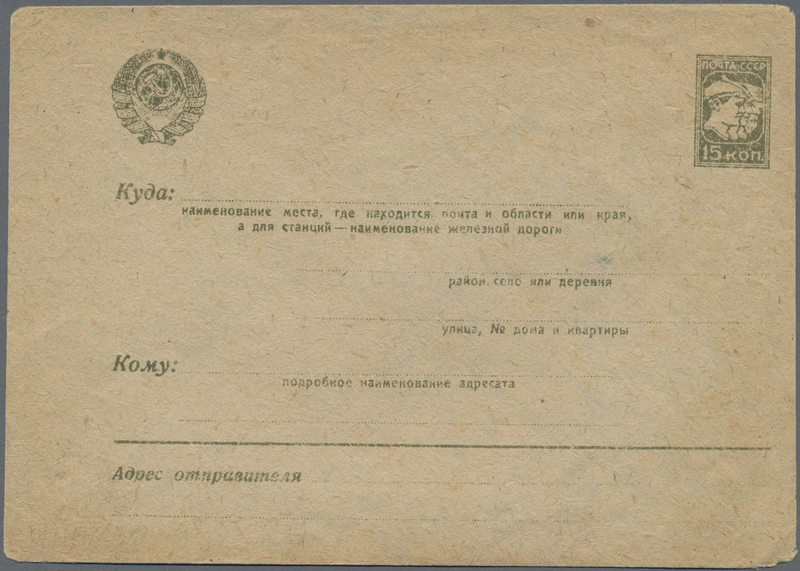 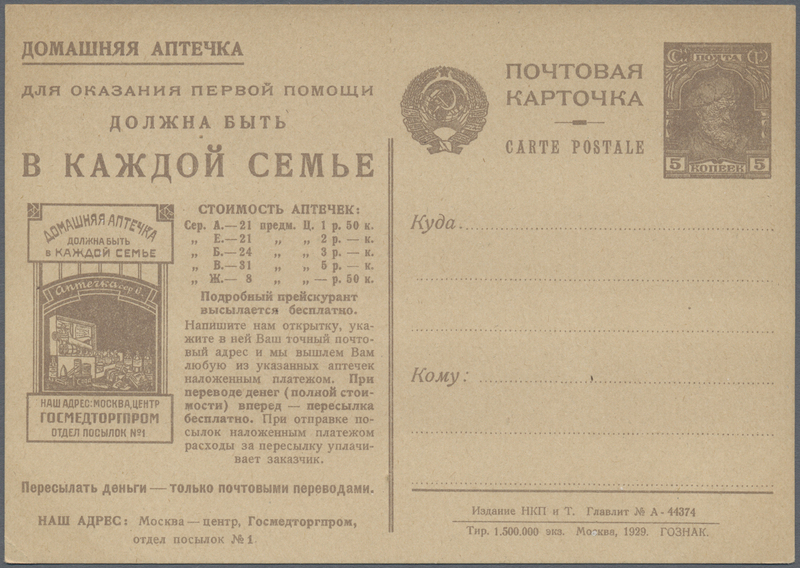 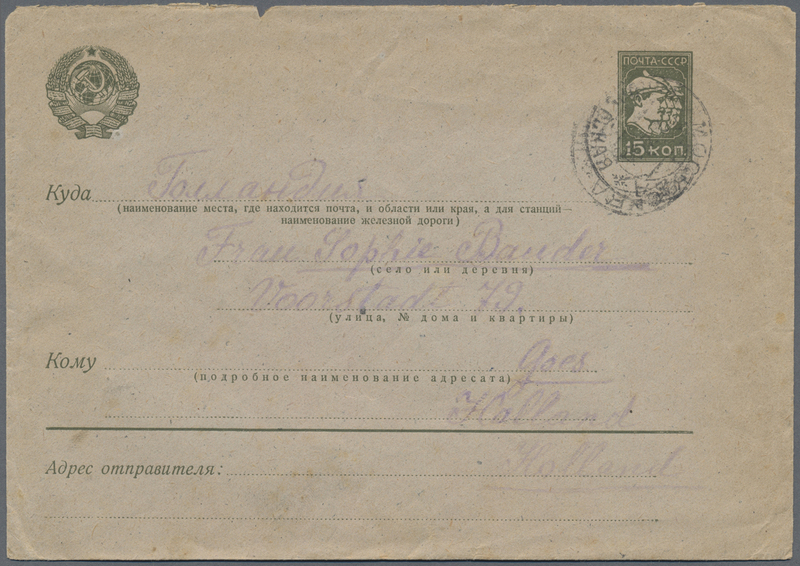 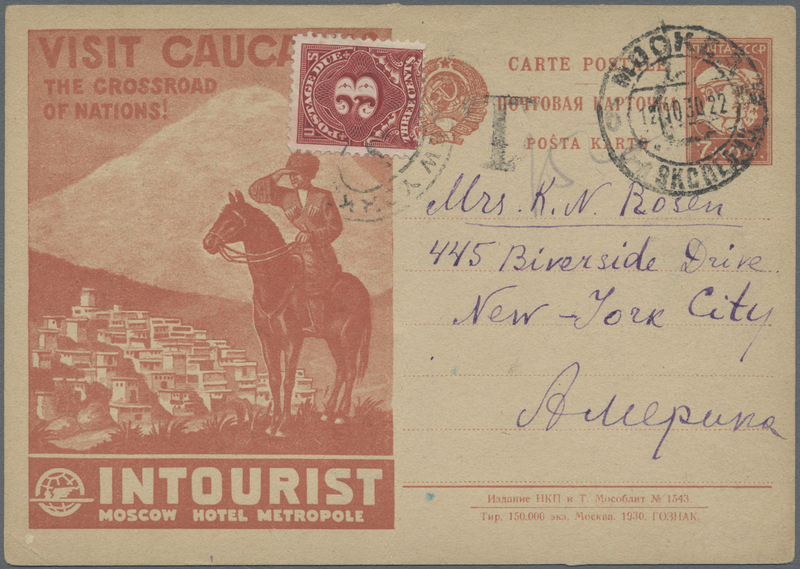 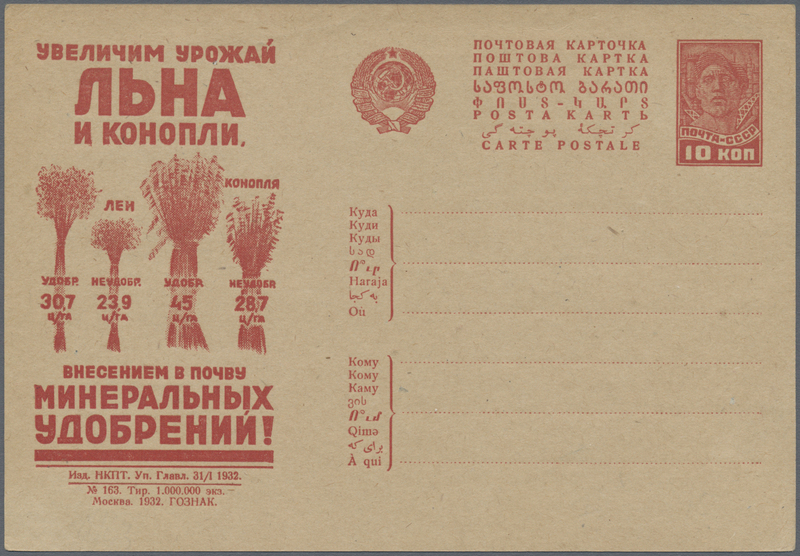 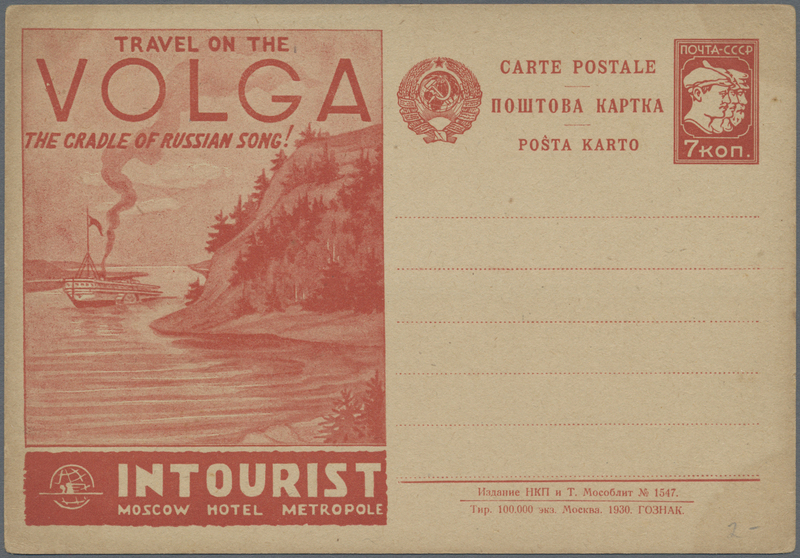 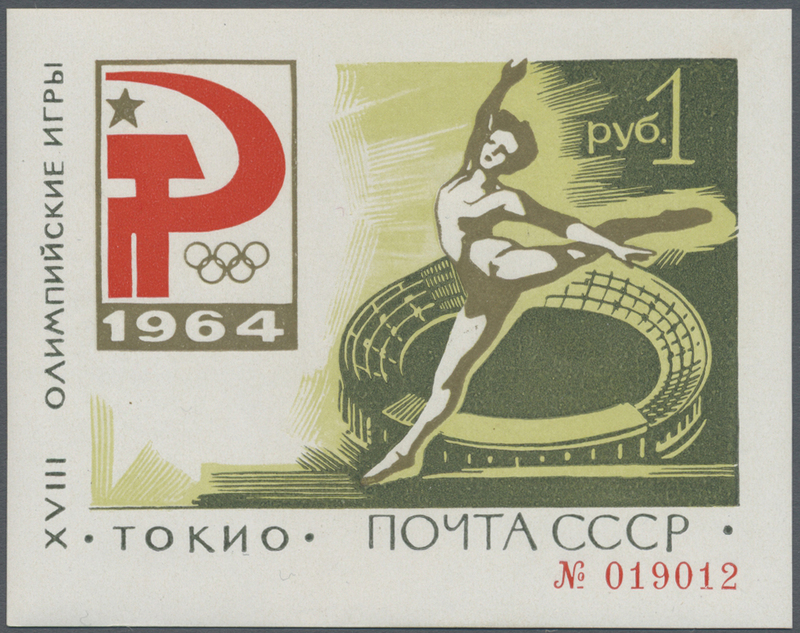 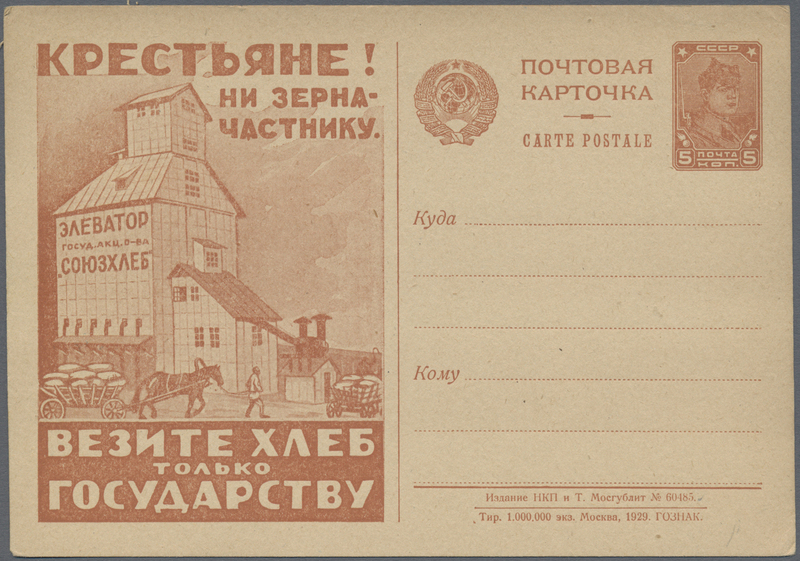 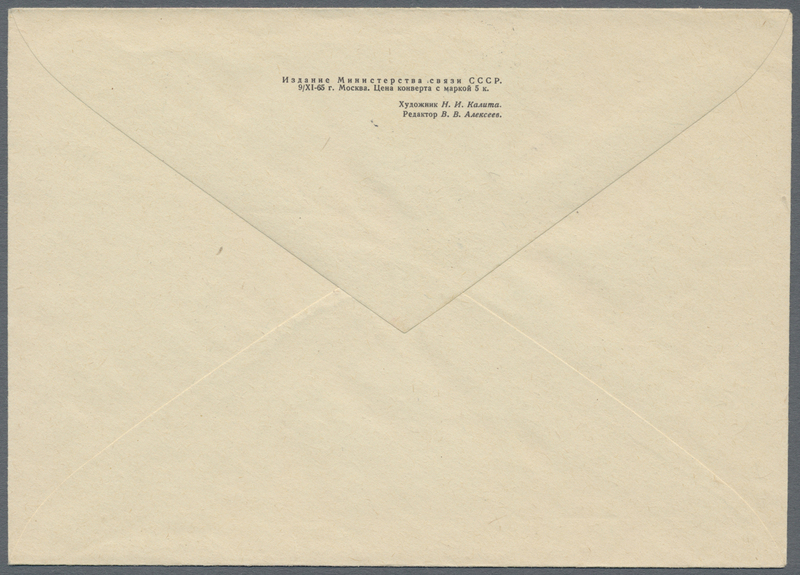 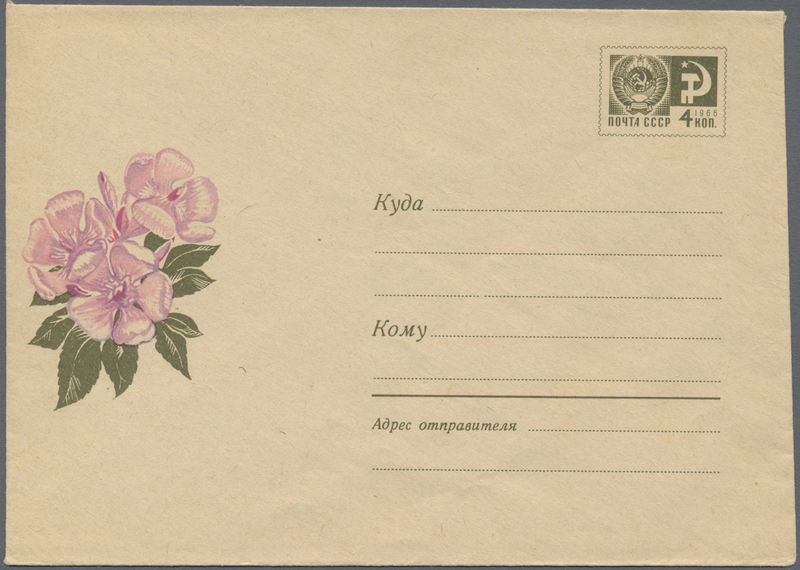 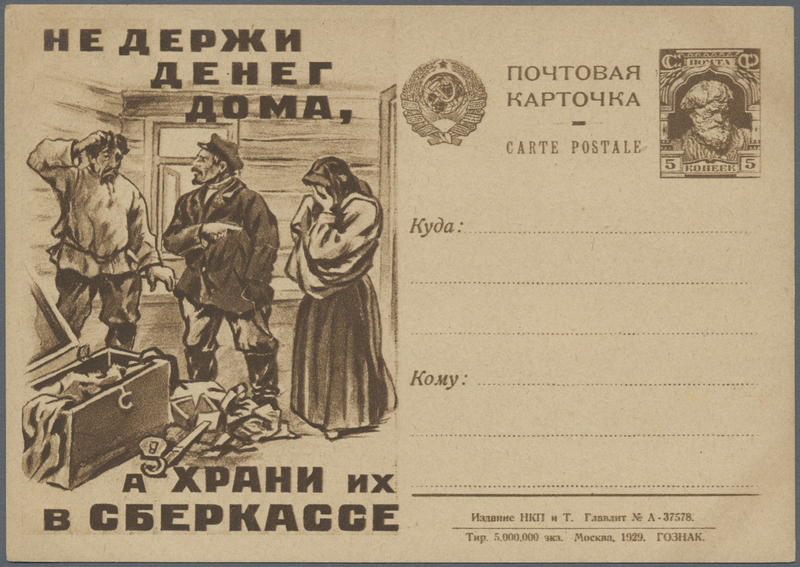 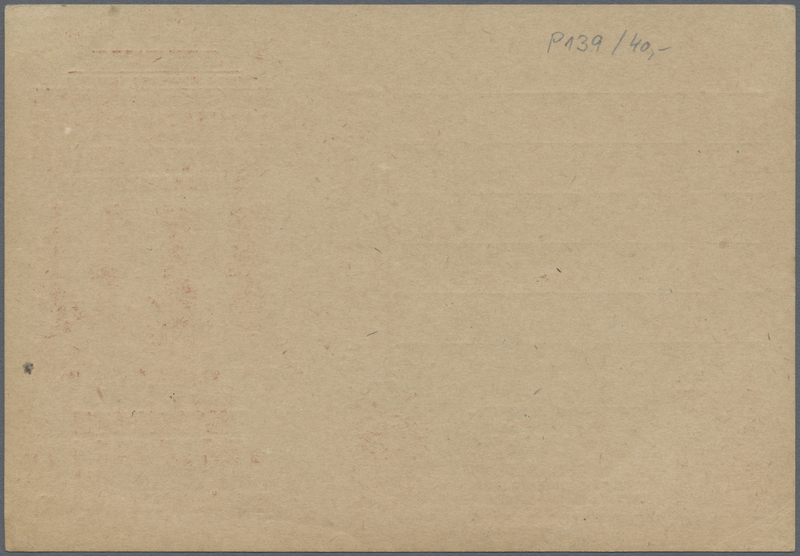 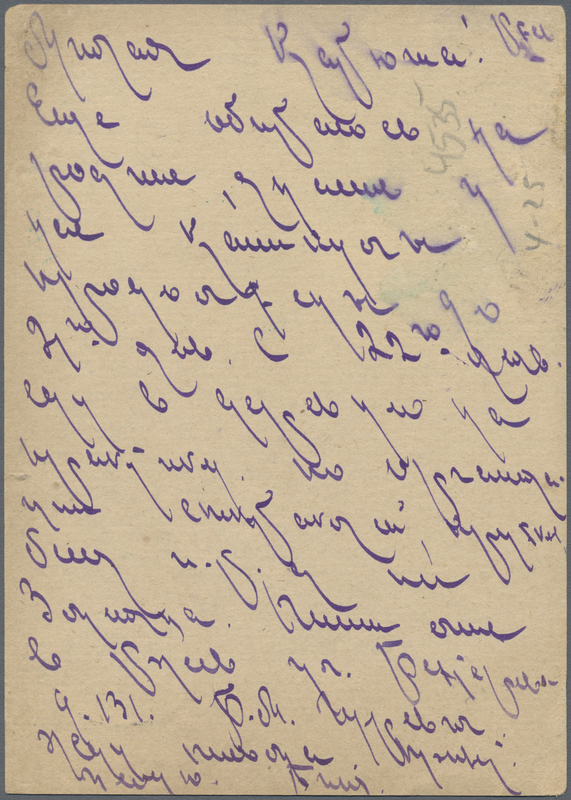 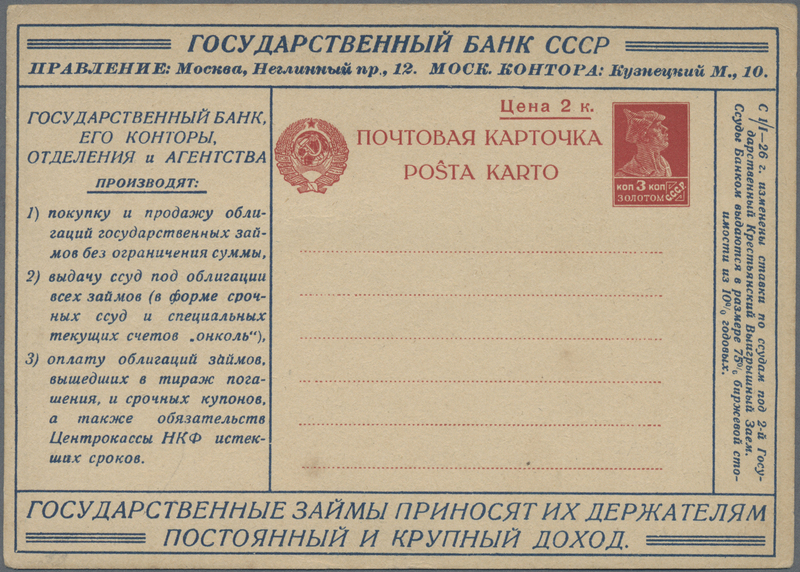 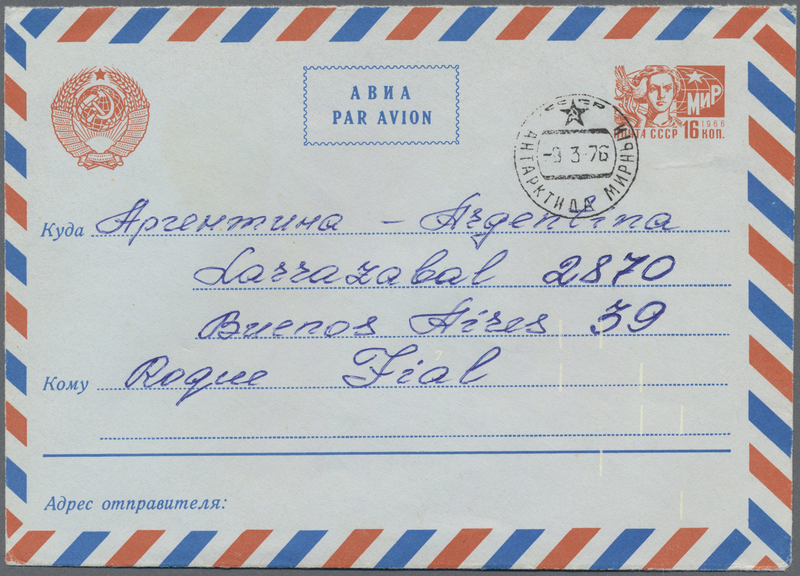 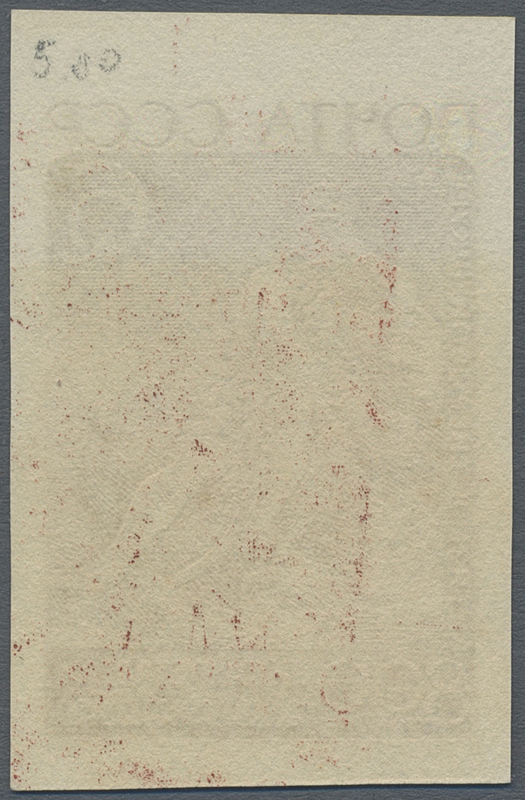 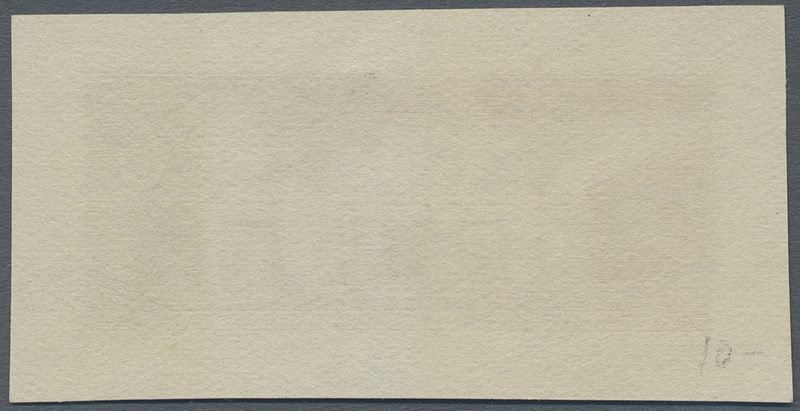 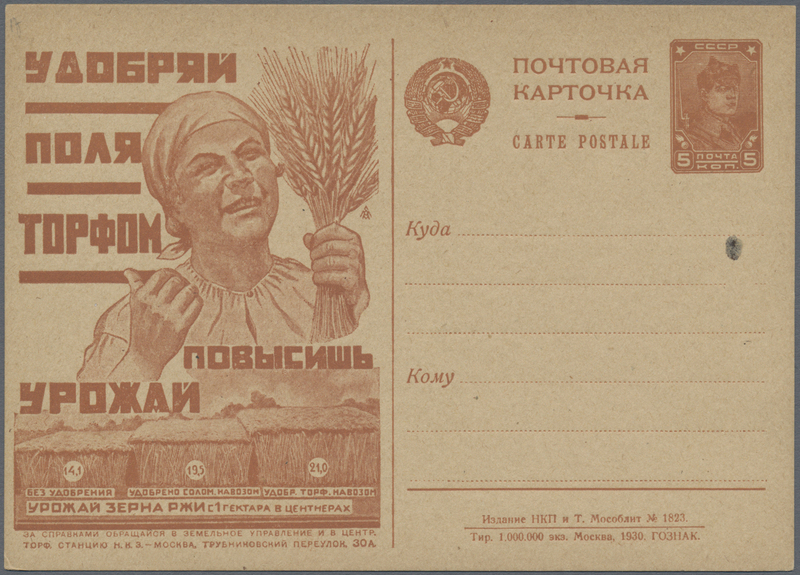 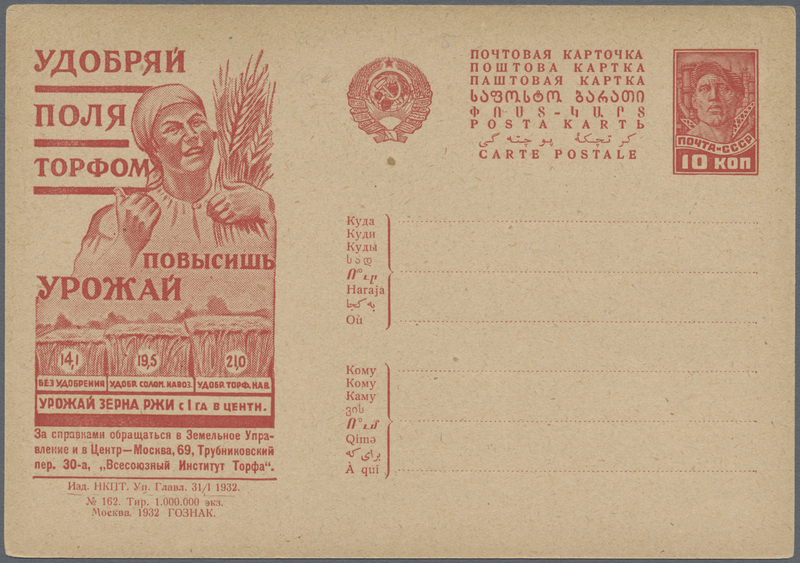 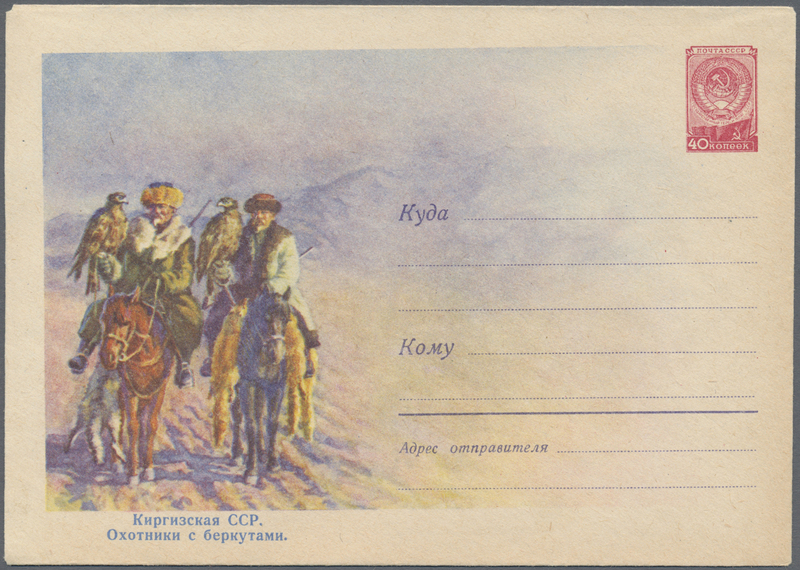 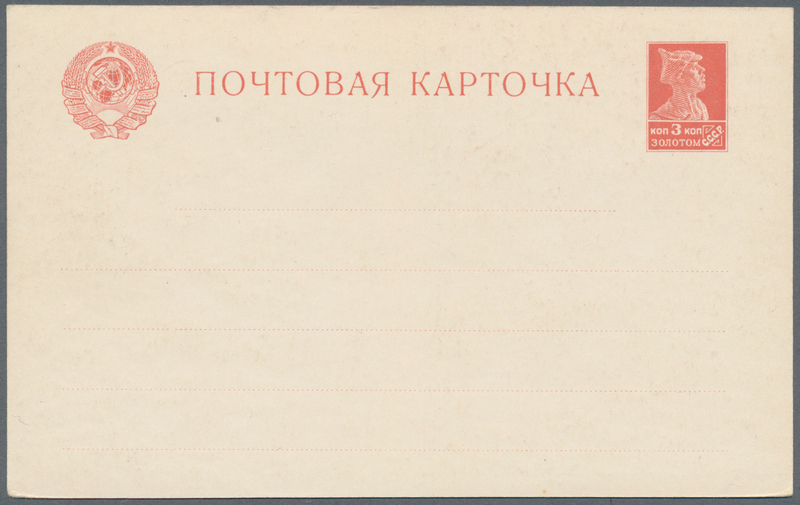 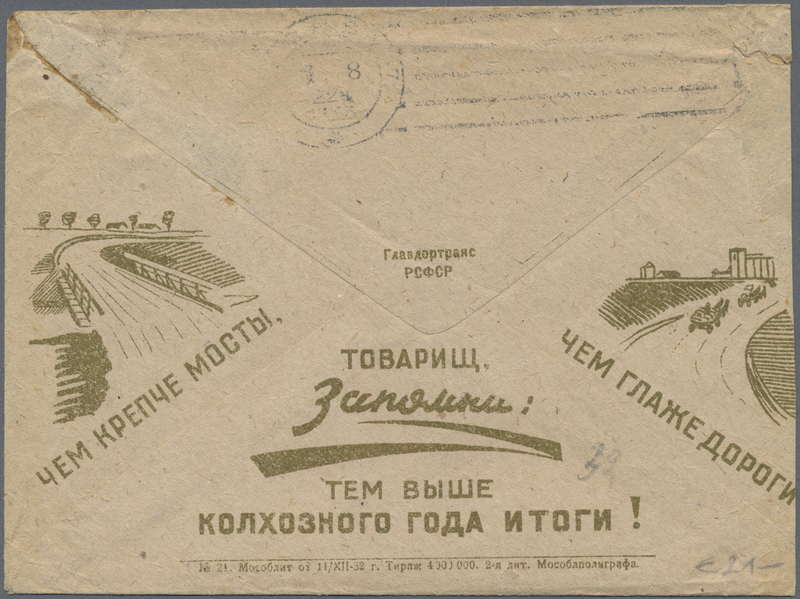 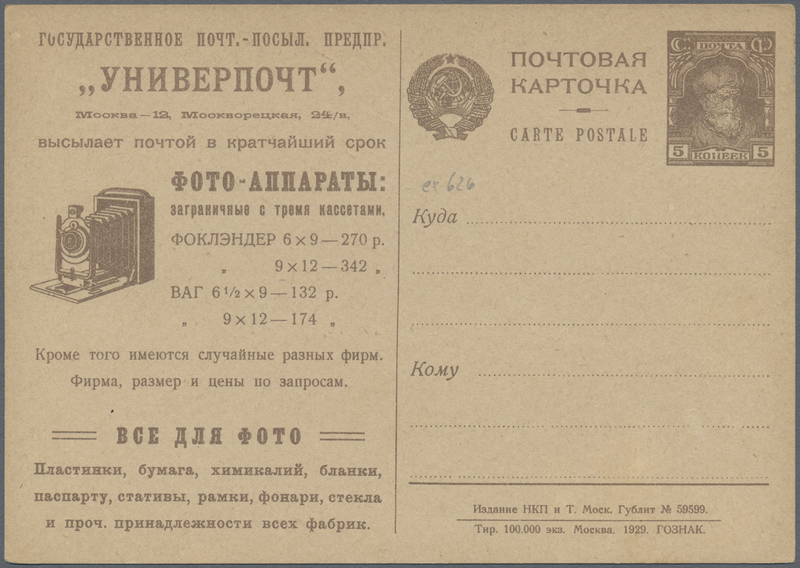 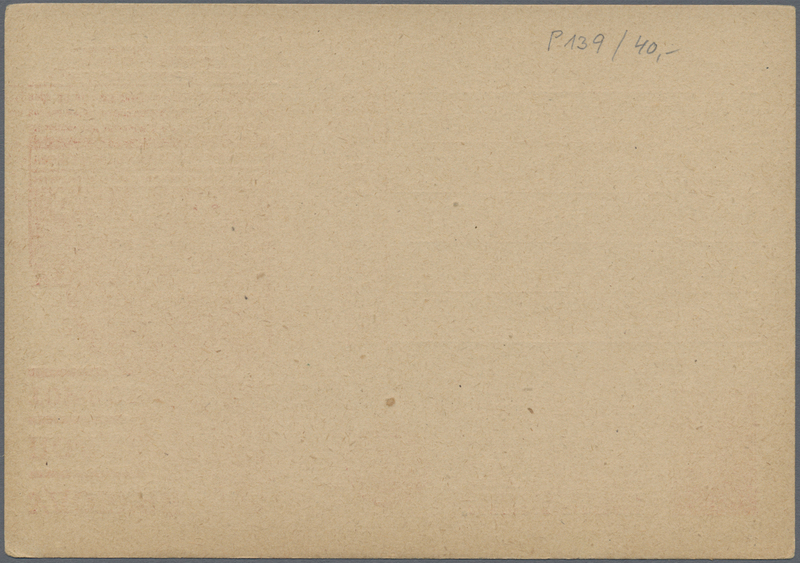 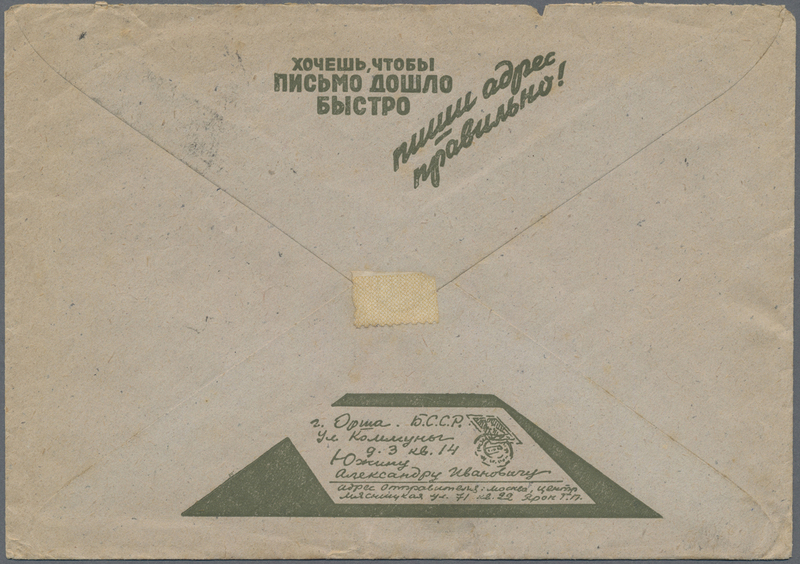 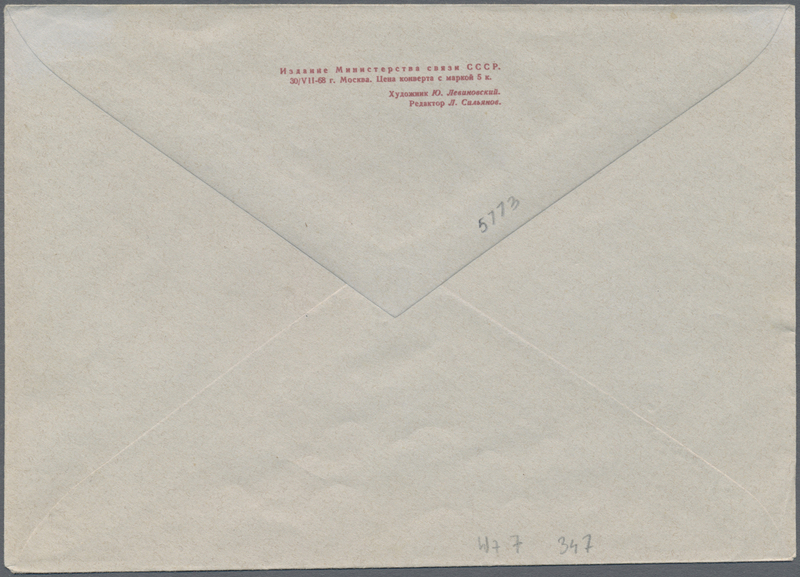 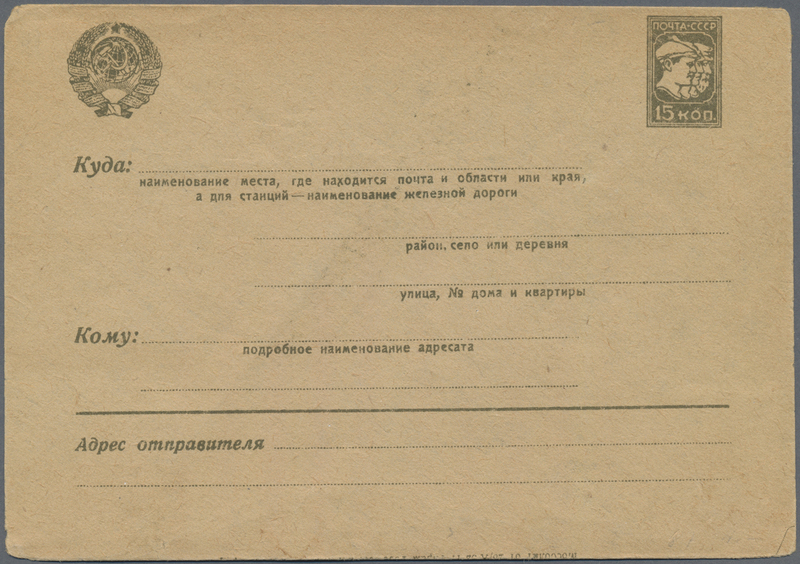 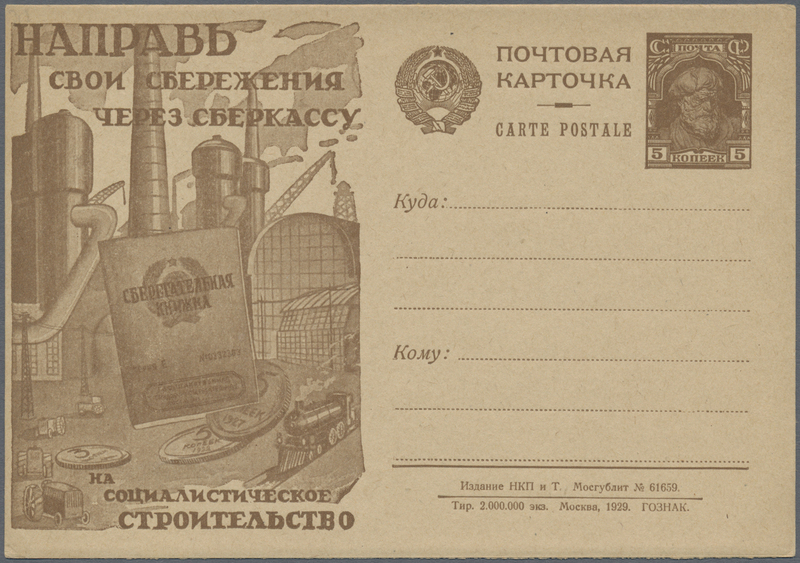 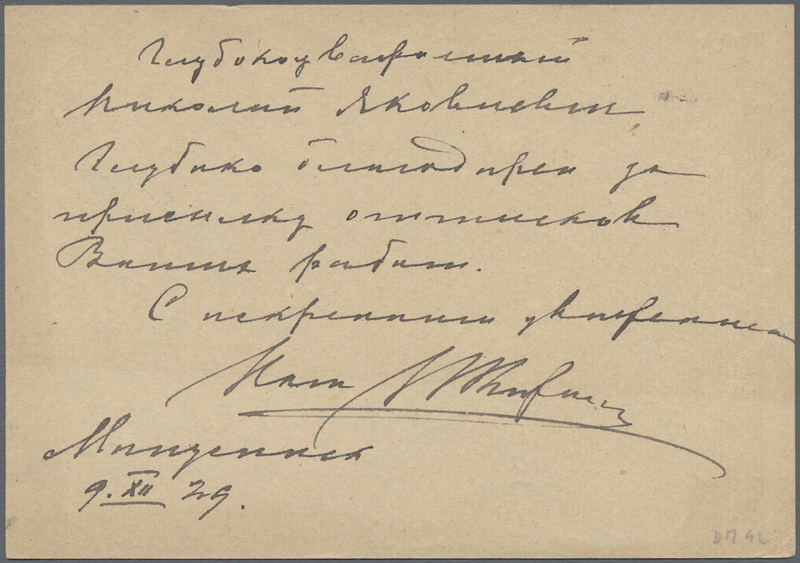 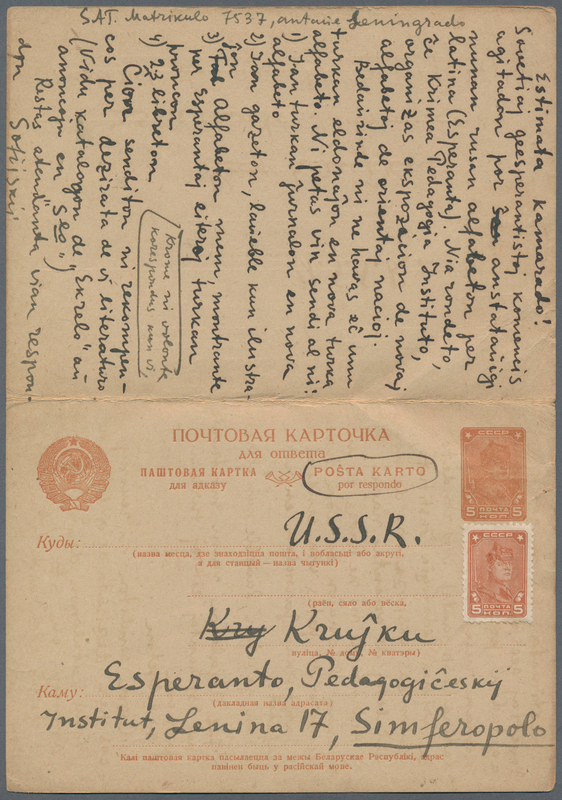 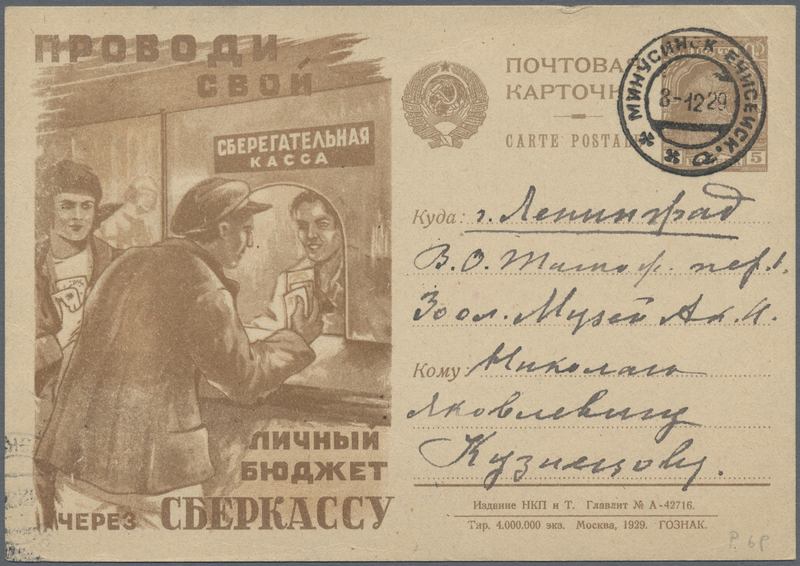 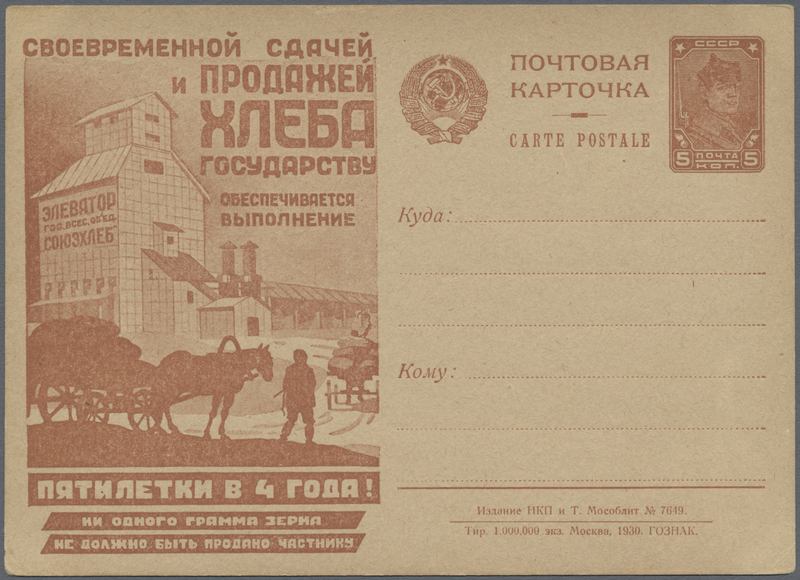 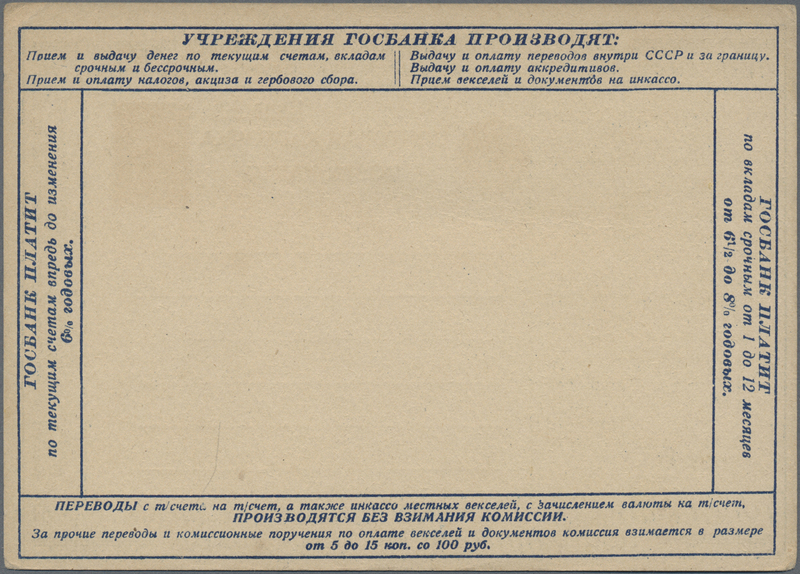 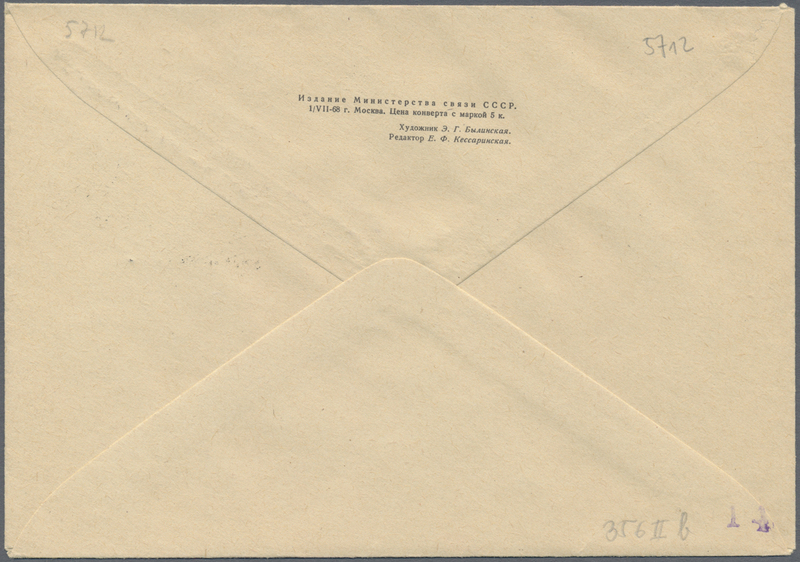 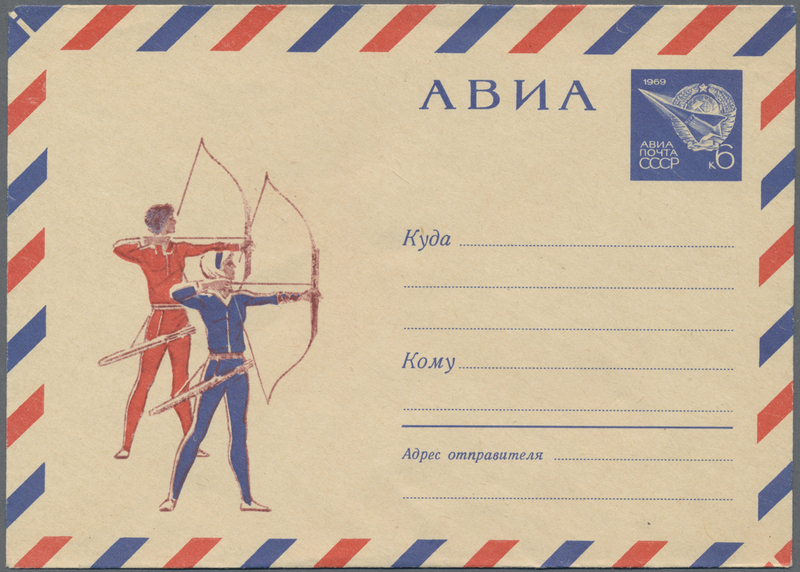 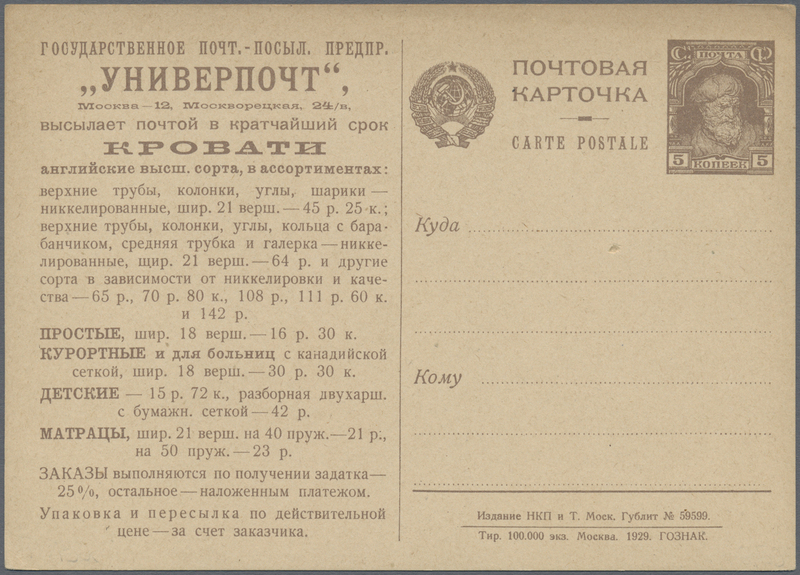 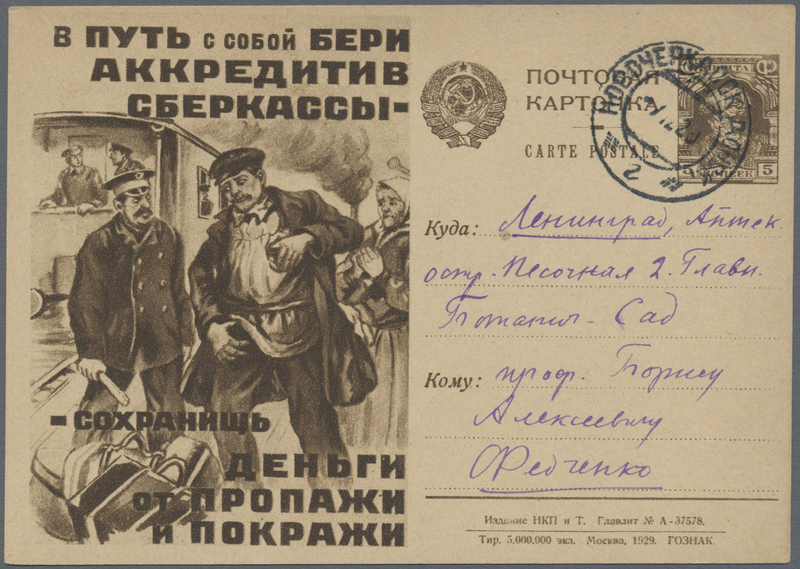 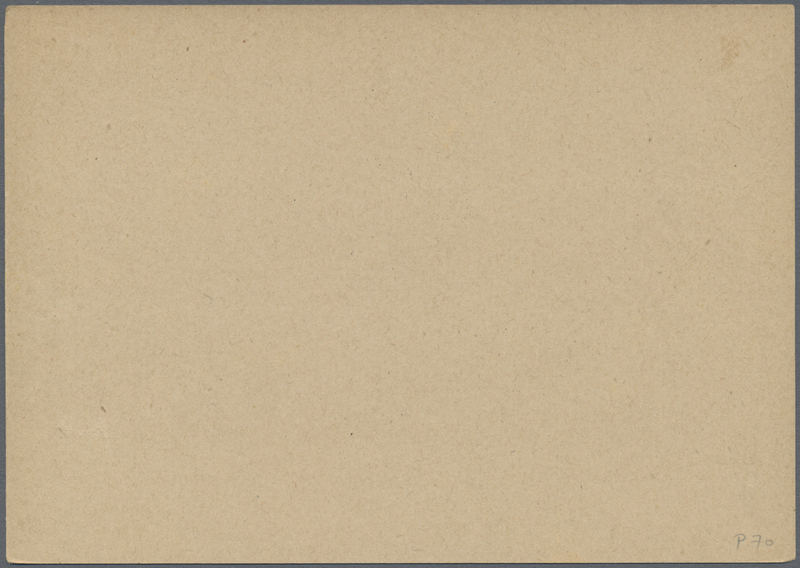 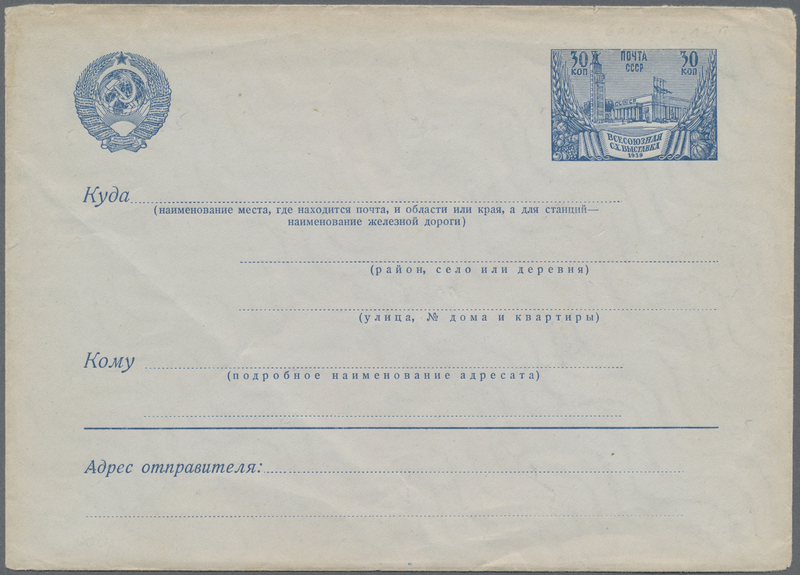 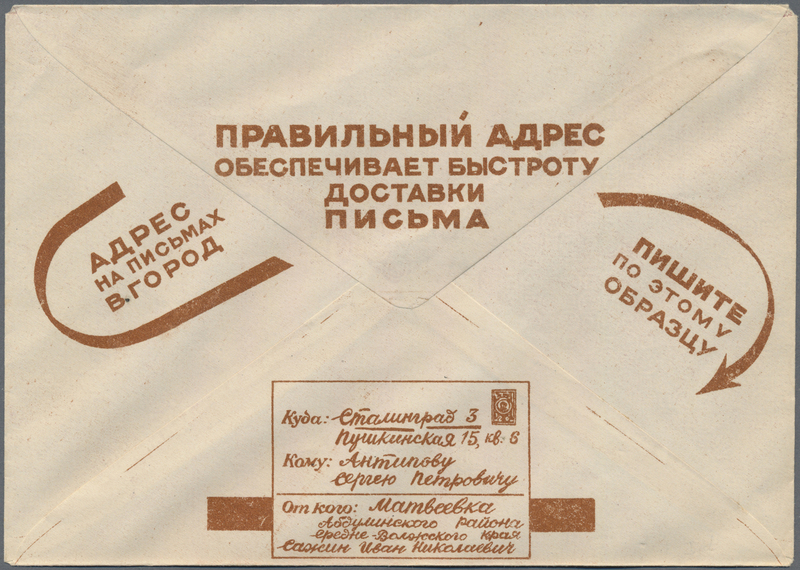 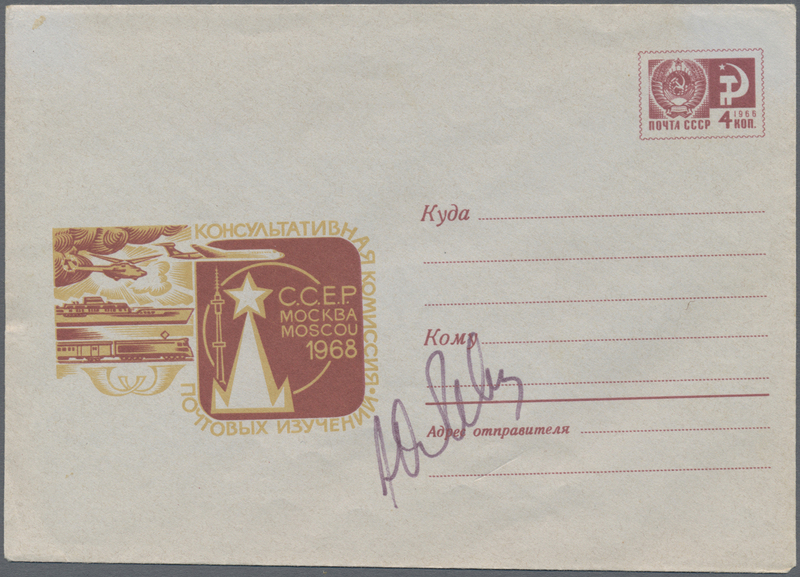 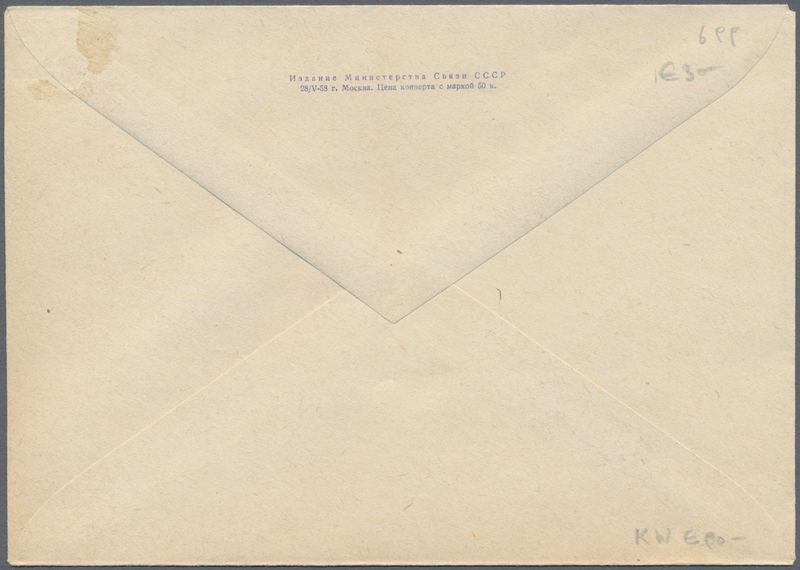 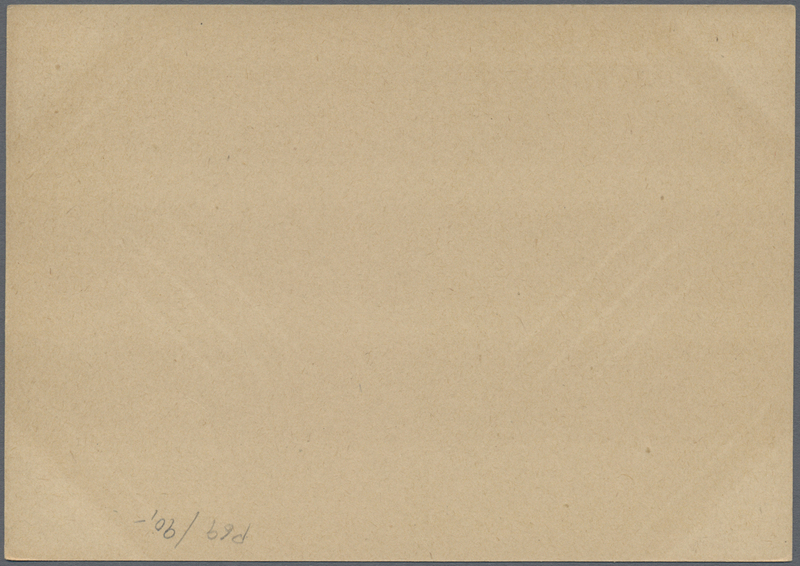 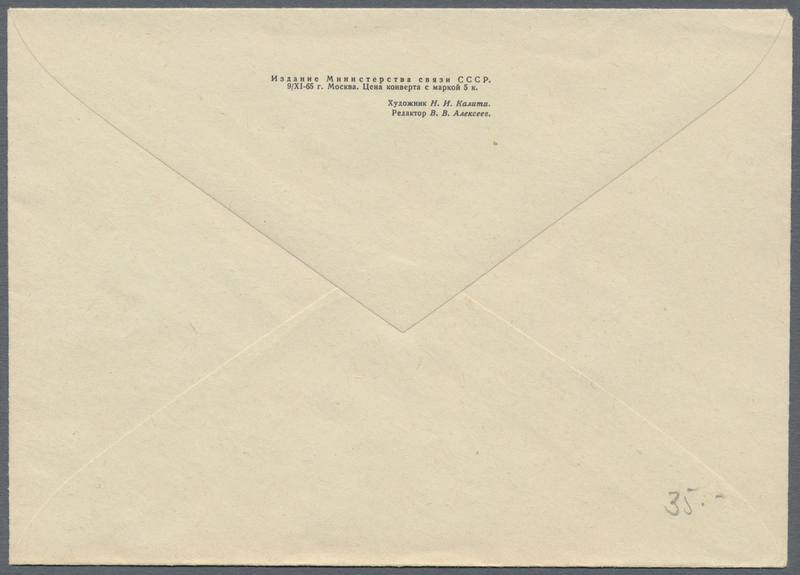 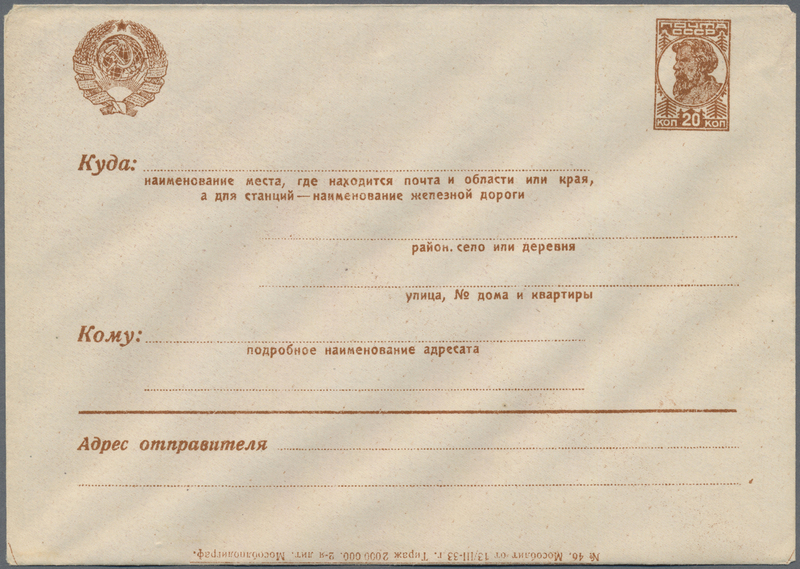 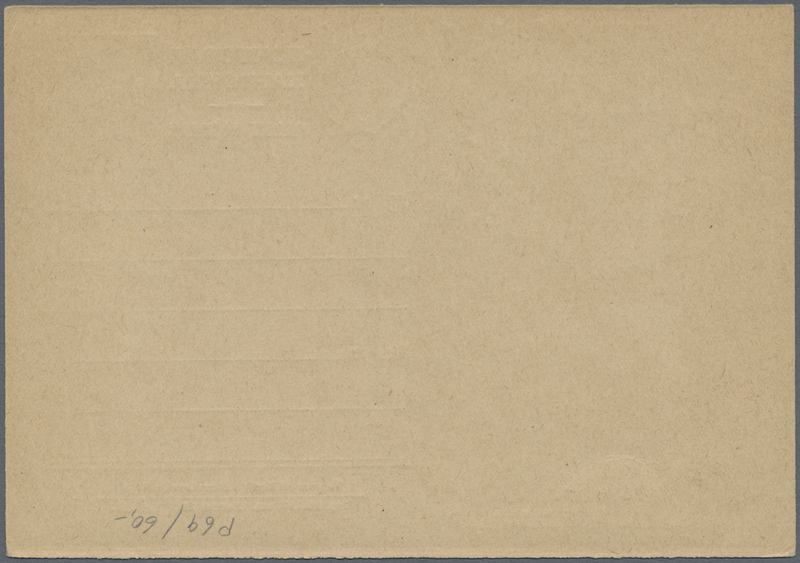 proof in bright reddish-brown on ungummed paper, issued design. 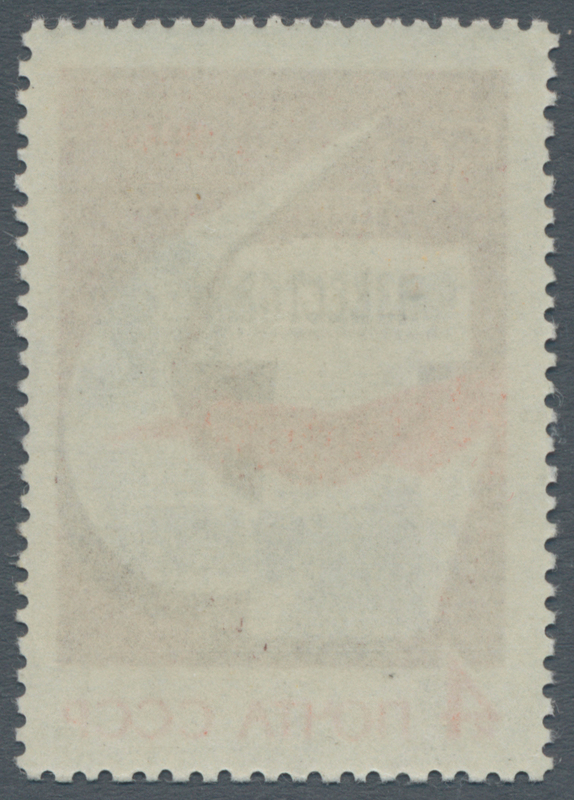 20542 gestempelt (marked) Bl. 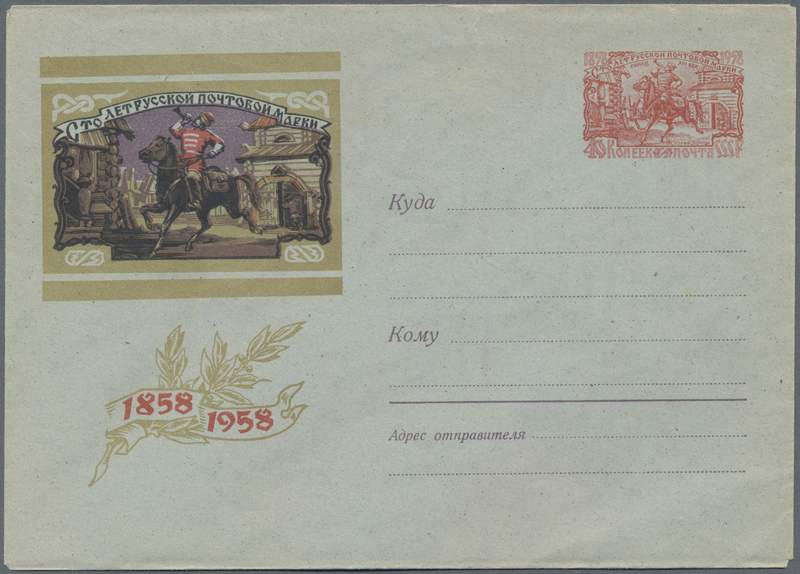 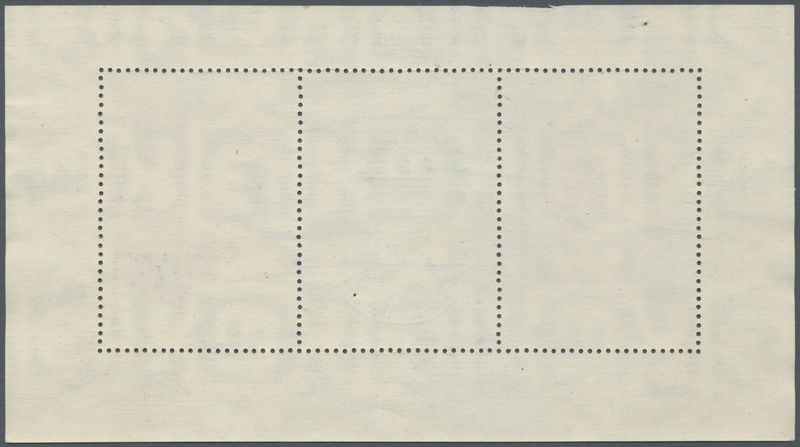 158 1982 'Eremitage' souvenir sheet, variety "without 6-digit number', used and cancelled by indistinct boxed h/s in violet probably "???????? 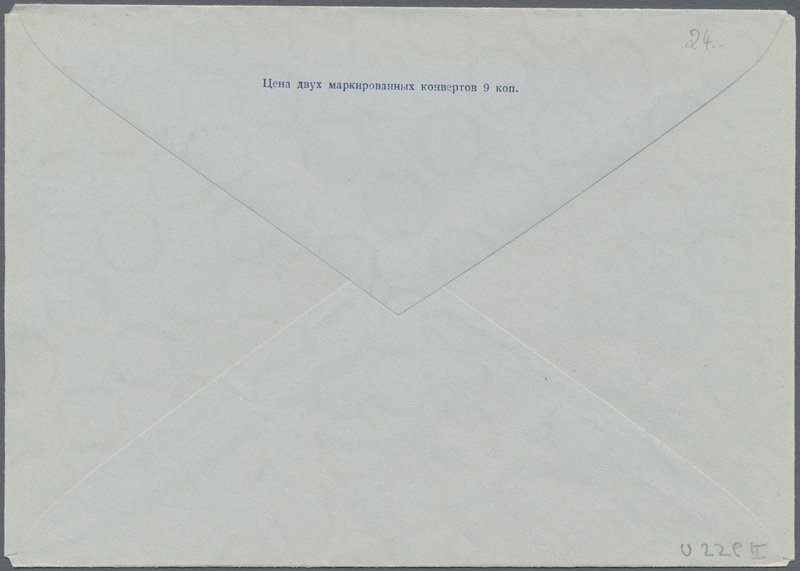 ", slightly creased otherwise fine. 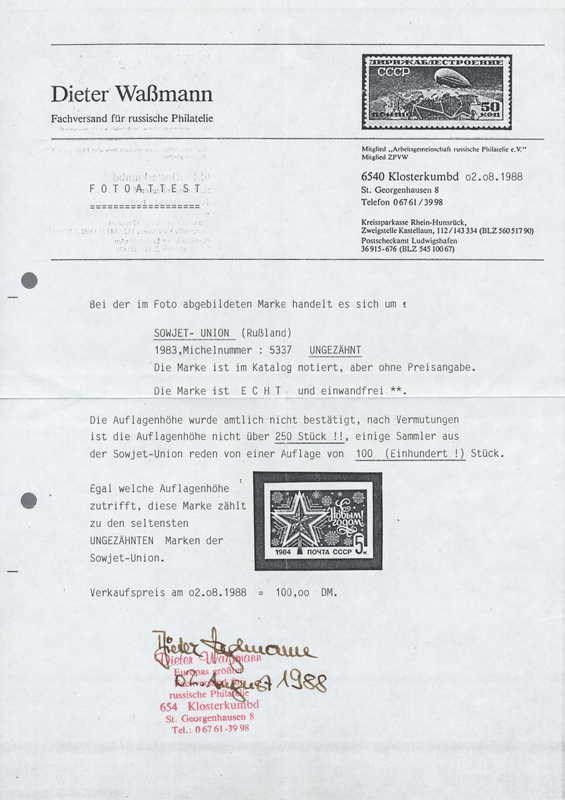 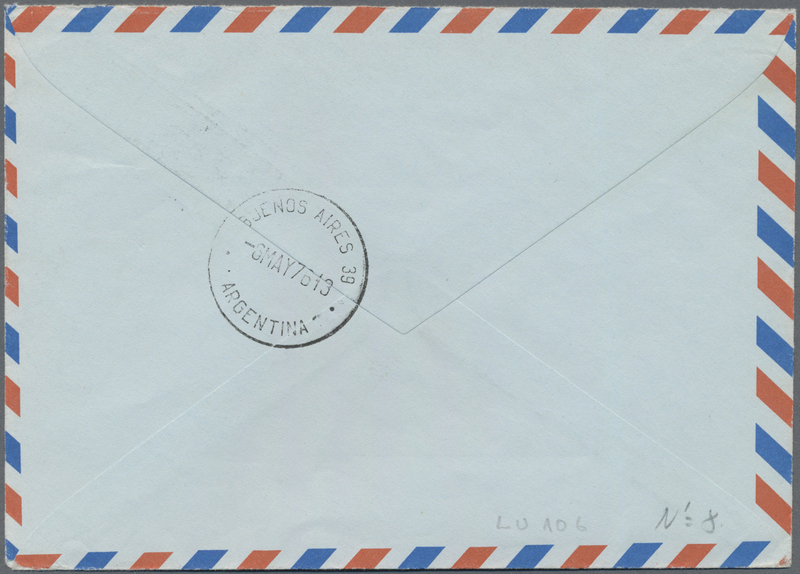 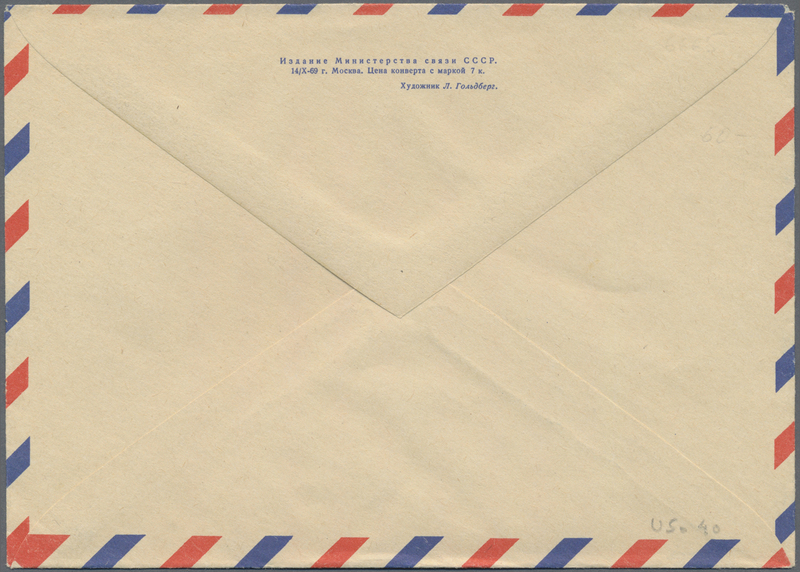 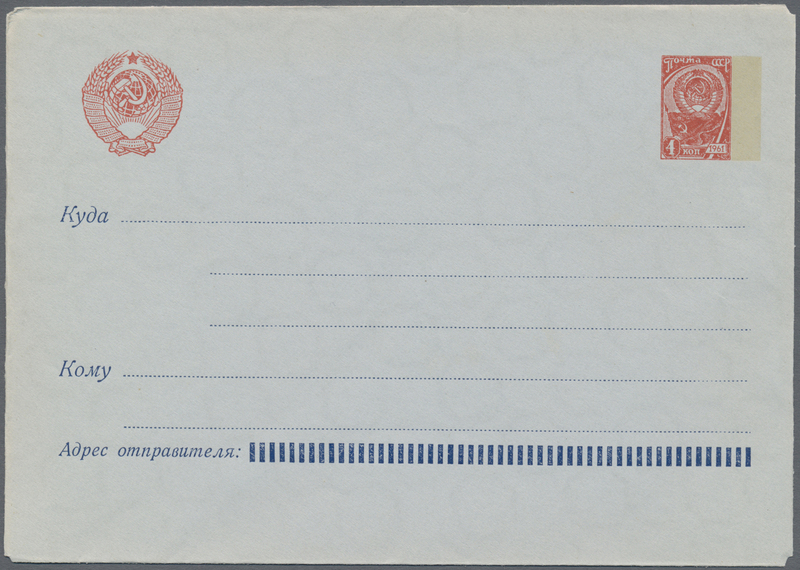 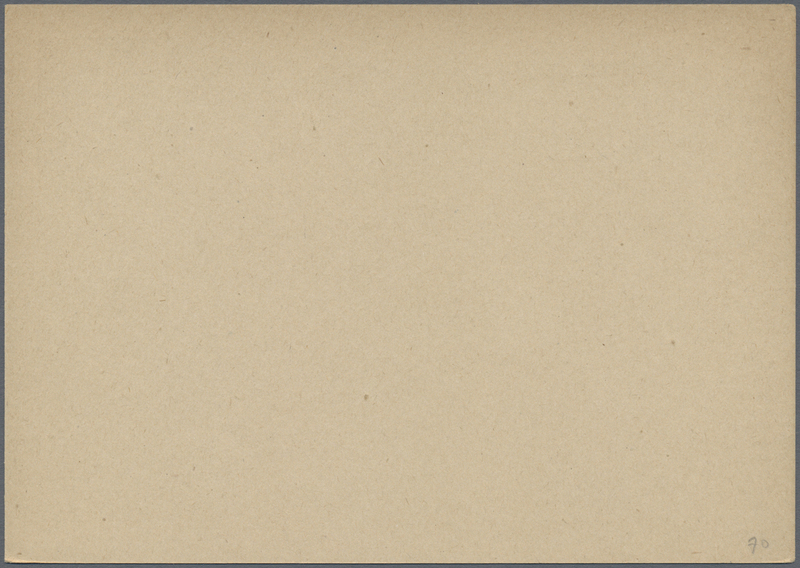 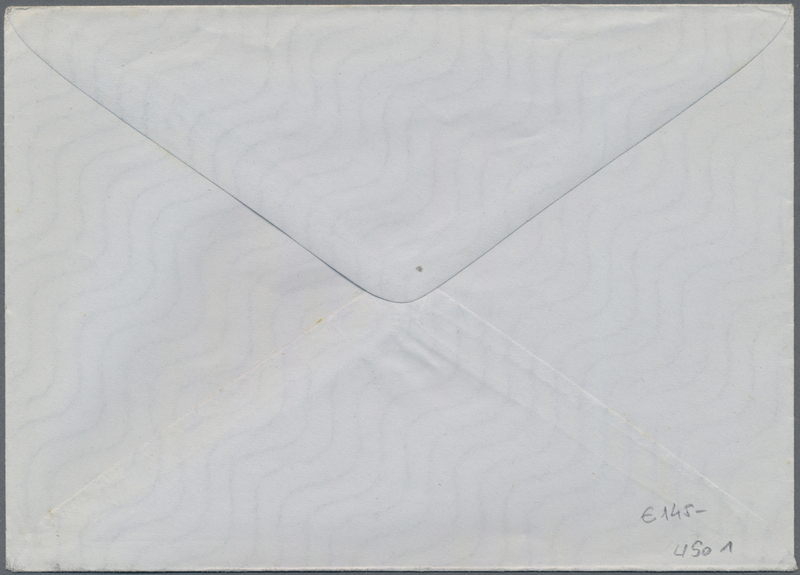 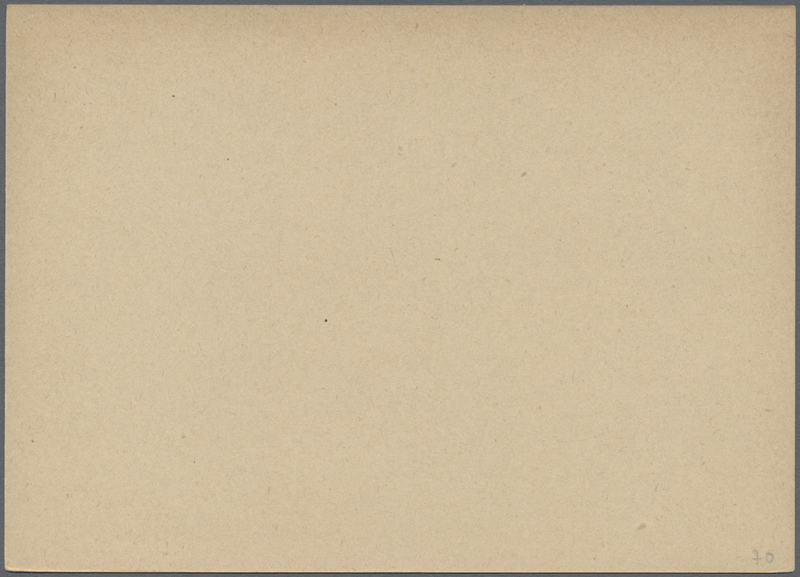 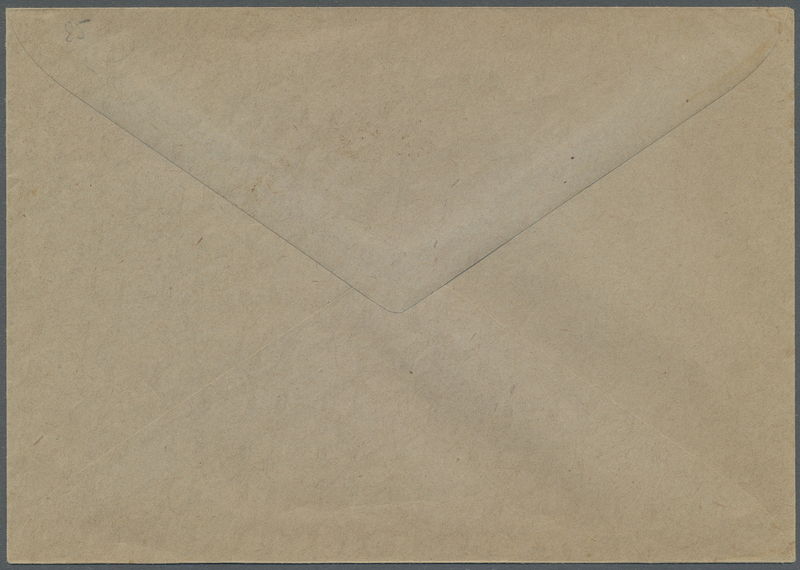 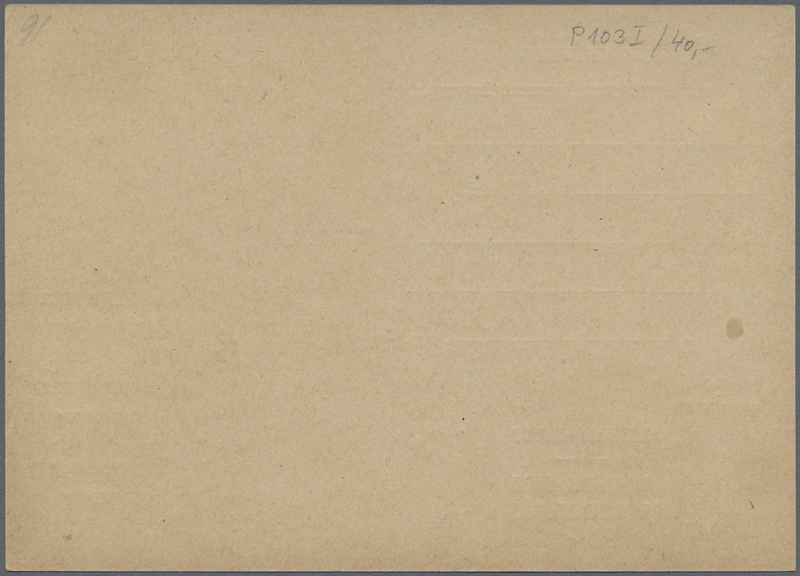 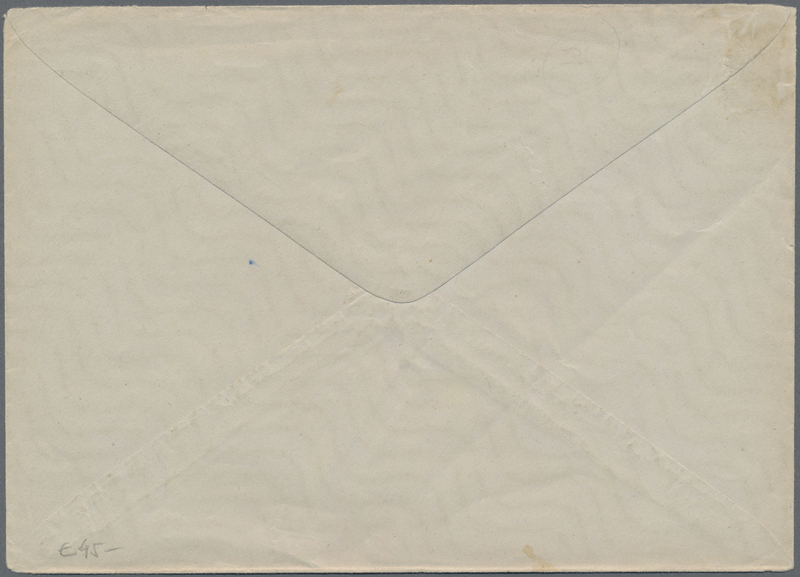 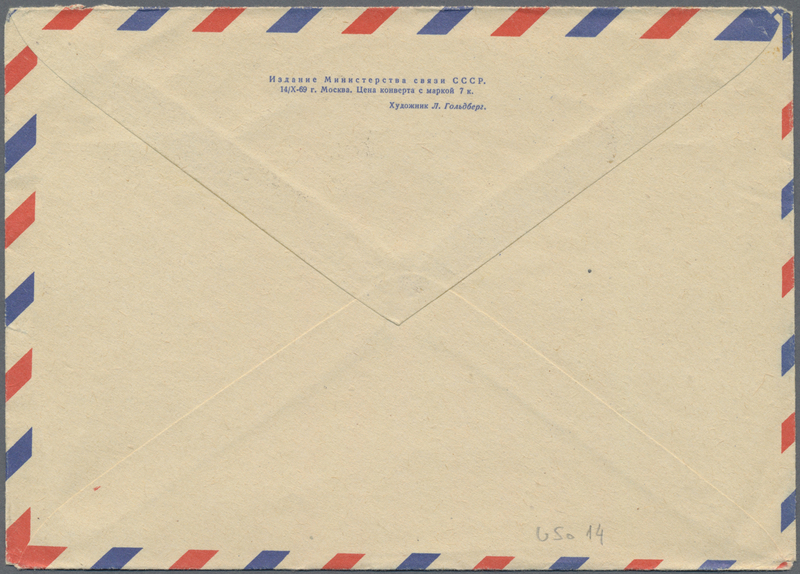 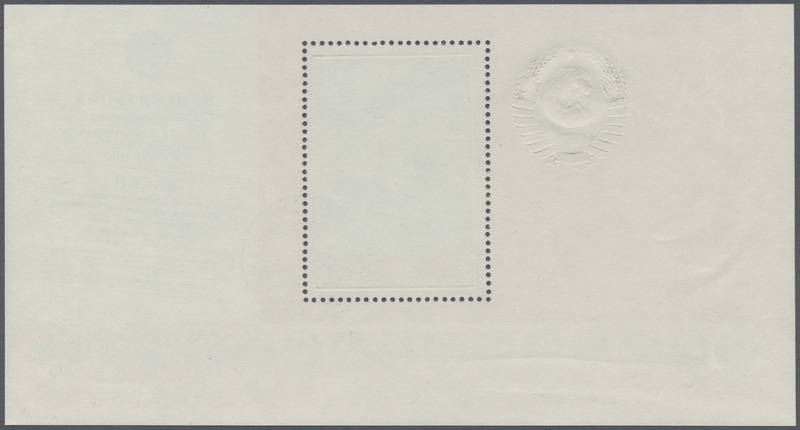 20544 postfrisch (never hinged) ** Paar (few) 5978 U (2) 1989, International Letter Writing Week 5kop. 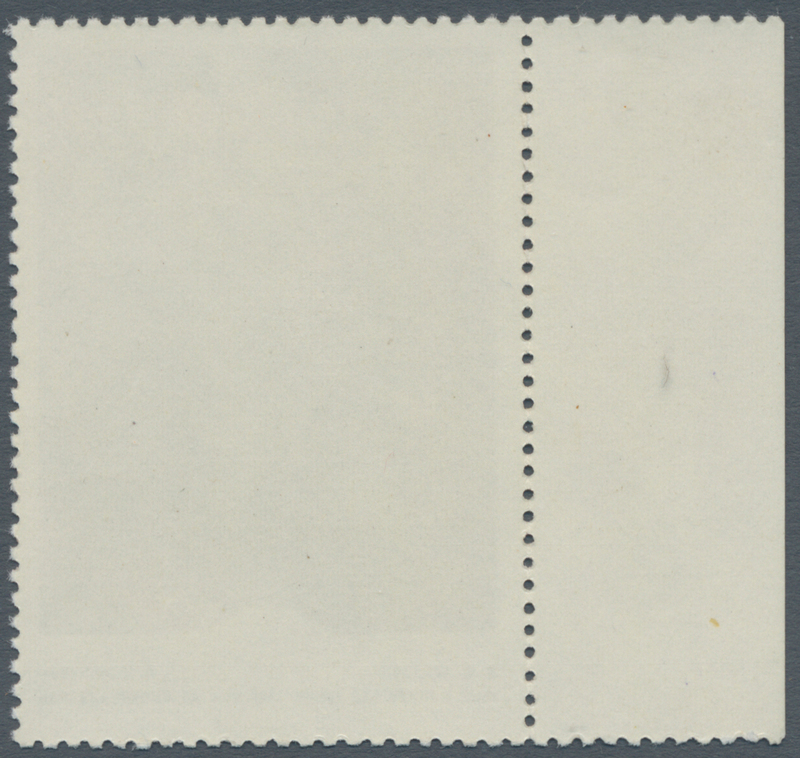 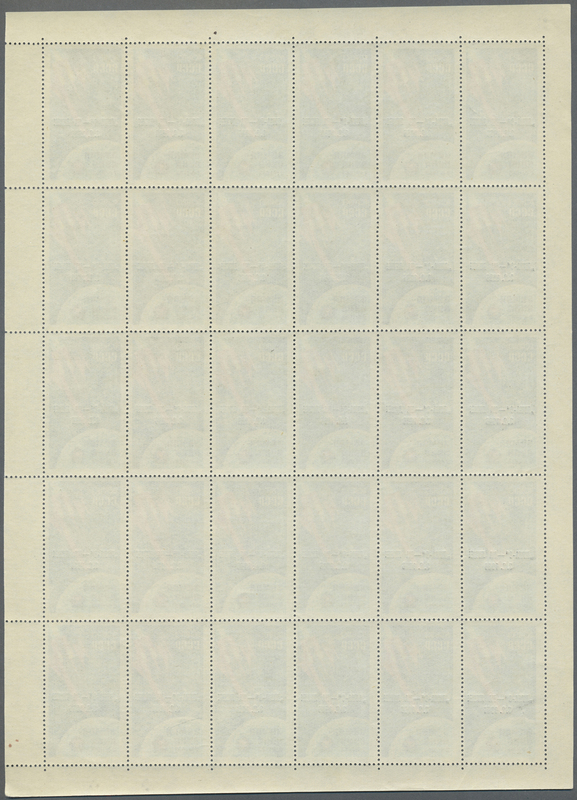 multicoloured IMPERFORATE pair, mint never hinged, (Standard 6030, € 300,--).